Having watched the much-talked Godhi Banna Sadharna Mykattu, the movie struck a deep chord. It stood out for its treatment of a simple missing-and-found person story with an interesting angle of an Alzheimer patient getting lost and finding himself amidst killer-gangsters. The plot had many poignant and meaningful Lost and Found nuances by Lost and Found Films that I thought I will spend some time writing down my impressions. When I started reviewing the movie here, there were so many aspects of the movie that stood out that I thought it best to use separate sections to appreciate the movie. Shiva (Rakshith Shetty) is an IT professional bent upon climbing the corporate ladder, traveling to New York is the carrot his boss keeps dangling. He has grown apathetic to his father, whom he calls “Anna.” With his mother (Triveni Chindodi) dead eight years earlier to cancer he has left his aging father Venkoba Rao (Ananth Nag) who suffers from Alzheimer’s disease at an NGO which ‘offers the best facilities for Alzheimer’s patients.’ Shiva has become the typical workoholic IT guy whose target is now to move to the U.S. During one of his rare visits to his father at the NGO, he loses his father who wanders off into the city. The father hitchhikes and ends up with two gangsters, Ranga (Vashista N. Simha) and Manja (Ravikiran Rajendran), who are transporting the dead body of a Corporation engineer in a truck, while Shiva starts to search for his father. Dr. Sahana (Sruthi Hariharan) who works at the NGO and who has grown close to Venkob Rao joins Shiva to search for him intensely. As they search for the missing Venkoba Rao, Sahana reveals to Shiva the various sides of his father’s personality which Shiva was unaware of or had never bothered to learn about. As Shiva gradually learns, his perception of his father as ‘just ordinary’ transforms into respect, and to regret that he never treated his father well. What follows is suspense filled scenes of Ranga plotting a way to kill the killer (a policeman on roll call of the gangster boss) sent by the gangster boss and Shiva going on wild goose chase based on false calls in search of his father. Ranga succeeds in his plan, tragically losing his own life. Manja who realizes that his own girl friend is the reason for the gangster boss to trace them and thus the end of his Ranga whom he called anna (brother). He gives a burning funeral to Ranga, walks into his girlfriend ‘s place, kills her and the boss, and then kills himself. Now that the gangsters are dead, Kumar tries to abandon Venkoba Rao but brings him back to his family. In due course, Kumar sees the “Missing” poster and unites Shiva with his father. Godhi Banna Saadharana Maikattu is a story of search of a missing person – lost connections, forgotten the very memories that have made them, lost humaneness. It is rediscovery of self, what matters the most – familial connections or material gains, rediscovery of simple pleasures like sketching over the rat race. Money cannot find something lost. 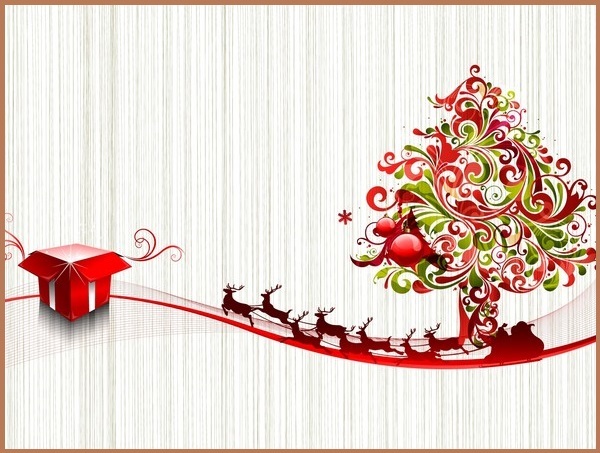 Search and rediscovery of one’s self and what is the utmost important thing life – family. The nuances of normal people in general – the urge to earn a lot at any cost, the search for ‘my life’ without realizing that life is about human connections. Reminds all ‘ordinary’ people that their lives are in no way ordinary, but one can easily find that extra in their ordinary lives to feel happy and peaceful with their lives? Alzheimer ‘s main characteristic forgetfulness plays a recurring theme through the movie. Alzheimer’s patients need a constant conversation to keep them recalling their memory. Story-telling is one of the ameliorative methods used in treating their medical condition. Whenever Dr. Sahana is talking to Venkoba Rao keeps prompting him with words that are relevant to him. The relevance of words is based on the emotional value of that word in his life. Interestingly, she does the same to jog Shiva’s memory to revive his emotional connection with his parents by story-telling. She tells him his parent’s romance and brings him to his childhood treasures. We all suffer from a kind of Alzheimer’s in one way or the other and need those prompts from life to remember what means the most to us, don’t we? The actors fit into their respective characters so well and at ease. Each of them etches a personality not easy to forget. Ananth Nag reiterates the veteran he is in emoting. His portrayal of an Alzheimer patient is spell binding. The moment when Kumar is abandons him by the road side is one tell-all example. Anant Nag’s plethora of emotions – bewilderment, anxiety, and finally, surrender, helpless acceptance, is simply mind blowing and touches you deeply. Rakshit Shetty once again demonstrates his astute characterization delineating an work-obsessed IT guy to the T. Going to the US is his life’s goal. His apathy to his aging and ailing father is accentuated as he realizes that his father is missing and he has to go searching for him but compulsively keeps swiping his Blackberry. Vashista’s role of gangster Ranga is plausible. The character grows through the movie which discovers it’s humaneness and learns to discern the good from the bad. Vashista’s baritone voice lingers long time after Ranga is dead in his efforts to save innocent lives. Manja lives out his T-shirt message ‘20% of the boys have brain and the rest of them have girl friend’ perfect to the T. Despite his obsession with his dancer-girl friend, his innovative ideas to find ways of reviving dead mobiles, and almost thick-headed reluctance to understand the danger of gangster life he is living, he redeems at the end with his loyalty and humanity. Sruthi Hariharan stands out in her role as a doctor concerned with her patient’s well-being. Her empathetic nature is what connects her to her patients as well as to the rude Shiva who is impervious to his father’s disappearance. Her attempts to re-sensitize Shiva towards his father as well as help him reconnect himself to his roots and memories, and thus to his father is touching. Her very empathy adds a humane touch to the movie. Achyuth Rao who stands for all ordinary people, so very easily emotes a small time merchant who is willing to help people in trouble but can become nervous when facing danger. His reactions are but the common reactions from any ordinary, normal person out there. Tiny, poignant moments add finesse to the narrative – father’s constant encouragement to paint, scribble, and sketch ‘don’t limit your painting to the canvas’, the story of father’s romance, and at the end even as Shiva tries to tell his father that he has learnt his lessons and has reformed. Despite his inability to react, the soothing touch of his father indicates that he understands though he does not know what. He simply understands. The narrative structure is non-linear, but felt at times not very smooth. As the plot required, the nonlinear narrative structure adds drama and suspense to the story which would otherwise have been a simple missing/kidnap/hostage story ending with a positive note. But at times, juggling between the time-lapse and the two drama scenarios, the hostage situation and the search scenes get a bit entangled with the flashback scenes. Is it a slightly gone awry “fractured tandem narrative?” Only experts can say. Despite those slightly jarring (almost imperceptible) notes, it is a very well done movie of the search and finding oneself by the Lost and Found Productions. A must watch! The news bits from past several days about Venus and Jupiter coming together had raised curiosity in me (more about jupiter-and-venus-conjunction here). I am no sky-watcher nor had I ever tried to imagine how two planets far away from each other by hundreds of millions of miles, in entirely different orbits can come together and appear aligned to us earthlings. I tried to learn more. 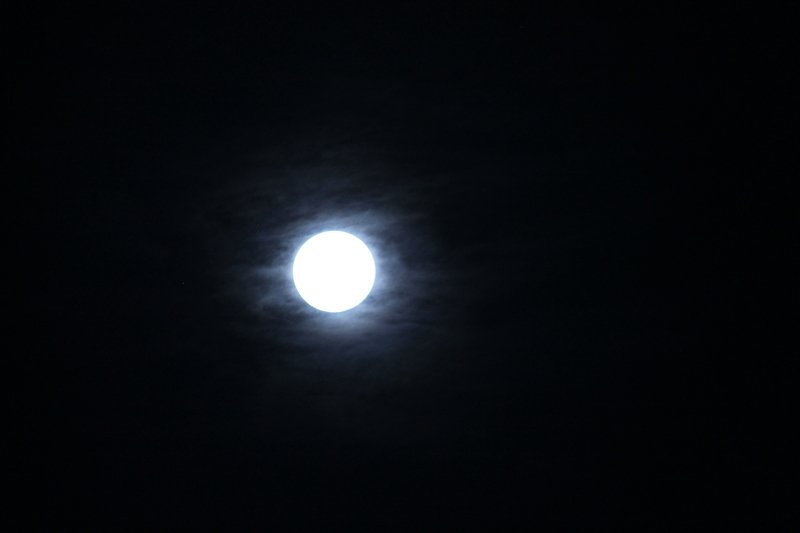 Curious to behold the phenomenon tonight I ventured out onto to watch the skies. It was a treat to watch the full moon on one end of the sky while planets Jupiter and Venus catching up with each other in their brightest best on the other end. Just a couple of hours after the sunset the western sky had the dazzling planets Jupiter and Venus stand side by side – easy to spot as they were the brightest objects in the sky, besides the full moon. 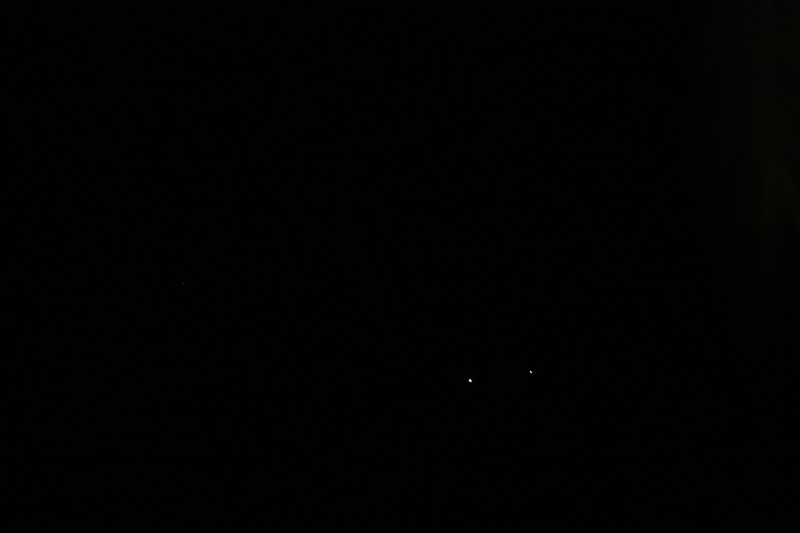 The astronomy fraternity calls this phenomenon as ‘Conjunction’ when two planets line up in their own orbits in such a way that makes them (from the line of sight) appear to be heaped together. According to the astrologers who draw significance of planetary positions and their effects on human beings, such planetary conjunctions signify a blending of energies of two or more planets. Conjunctions can have both positive and negative influence on human beings depending on their positions. 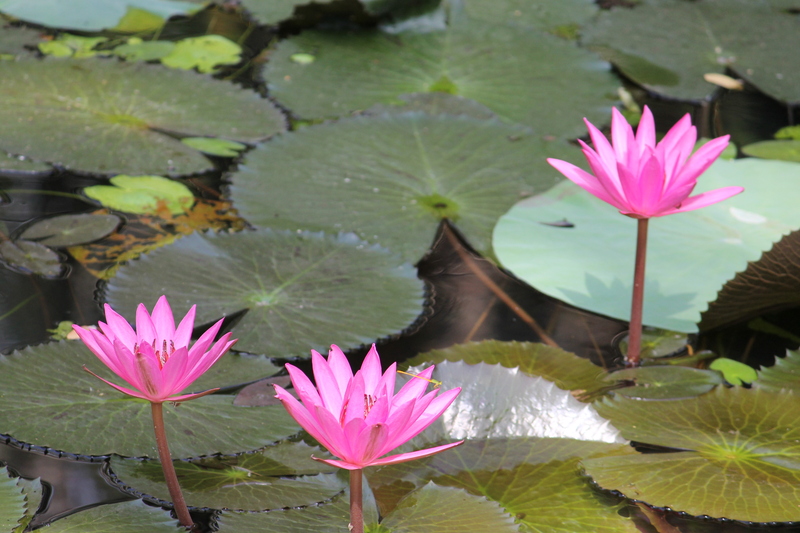 In astrology Venus represents beauty, love, money and the likes while Jupiter represents wisdom and knowledge. It is indeed a celestial conjunction of beauty and wisdom. Some mythologists are even comparing this Jupiter-Venus conjunction with the biblical ‘Star of Bethlehem’ that is believed to have revealed the birth of Jesus. Well, that’s something! Is this present sky phenomenon alluding to a similar history in the making? All three philosophies from astronomy, astrology and mythology give very interesting perspectives. Are these cosmic movements giving us a message? Do we have the wisdom to decipher the cosmic message? 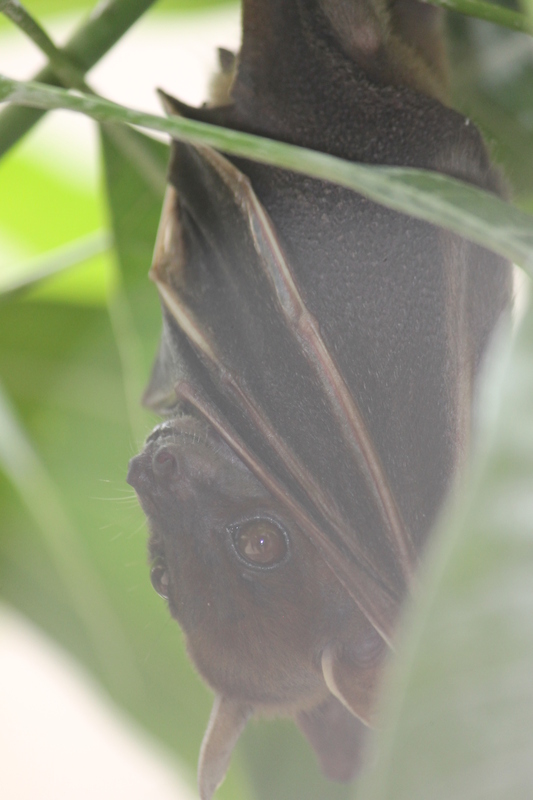 This fruit bat has been clinging on to a mango tree branch overlooking my room’s window. He has been there for past few days. The branch he is clinging on to is just an arm stretch away from my window. 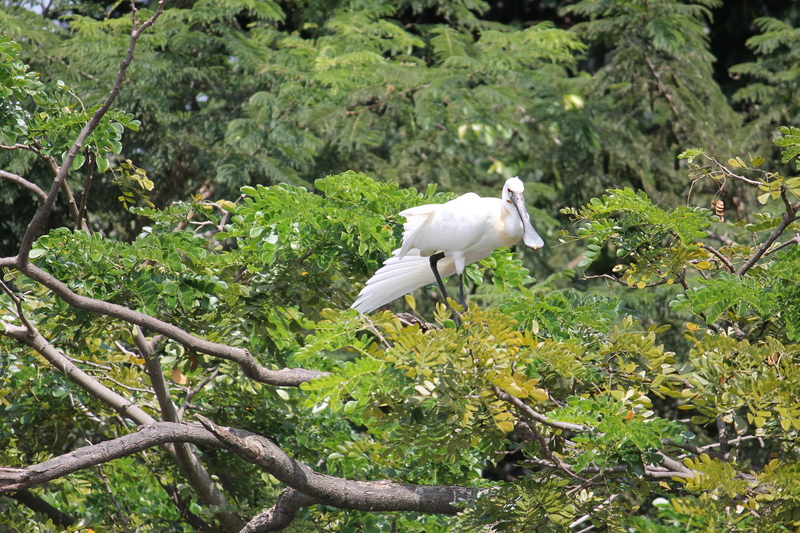 He seems to be so determined to cling on to that branch (or perhaps determined to watch over me? ;)) that no force can distract him – till now I have seen him weather the forceful breeze, heavy rains and my attention over him. When the breeze unsettles his position, he adjusts himself. When it rains, he closes his eyes. When he notices me watching him, he is not shy. He seems to respond through his eyes. He opens his eyes wide open when he knows I am talking to him. He remains calm and unperturbed by loud conversations from my room. He is the only one on the tree. What is he up to? I wonder!! Bright sunny Thursday morning, all set for flying out from Kempegowda International Airport, Bengaluru to Bagdogra Airport, West Bengal. 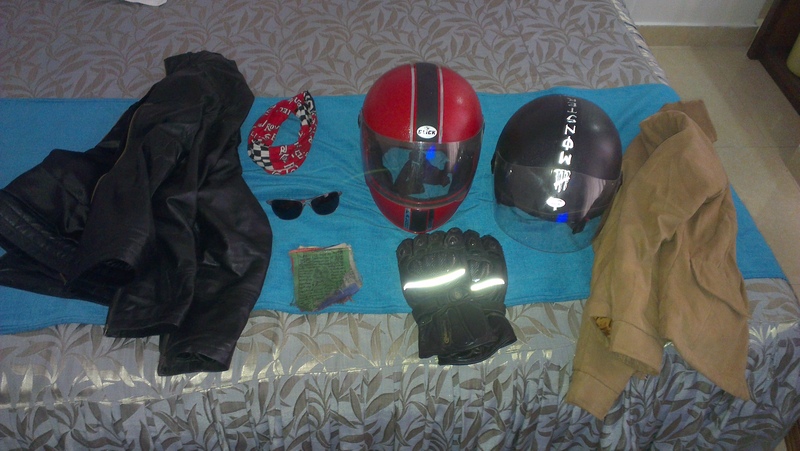 The journey for the much anticipated adventure of biking road trip across the Himalayan Mountain Kingdom, Bhutan on Royal Enfield bikes is about to begin after flying out to Siliguri and then start on bikes the next day. The plan entails a team of Enfield Riders circumambulating the Mountain Kingdom of Bhutan from east to west with pitstops at Siliguri, Pheuntsholing, Paro, Thimpu, Punakha, Bhumtang, Mongar, Samdrup Jonkhar and Guwahati – a distance of 1500 kms. With a short stopover at Kolkata airport we reach Bagdogra in the afternoon. The Bagdogra Airport is an international airport as well as an important Indian military base. Being the only airport in North Bengal, it is considered a gateway to the hill station towns of Darjeeling as well as the state of Sikkim. As the plane prepares to land at the tiny Bagdogra airport, the land below is checker green and brown fields dotted with military barrack. We step out of the airport with our baggage, our host is waiting for us. The drive from Bagdodra Airport to Siliguri is about 17 Kms. The weather is pleasant and cool even at 3pm, and the scene as we drive out of the airport is rural Bengal, tea estates, fields on either side of the road with spring produce, villagers balancing the day’s gathering on their heads, and cattle. Just as our host tells us that the CM of West Bengal is on her last day of visit to the region, the inimicable Didi rides by with a long cavalcade of jeeps and cars, sitting in the front seat of a Scorpio. The roads are surprisingly very good. 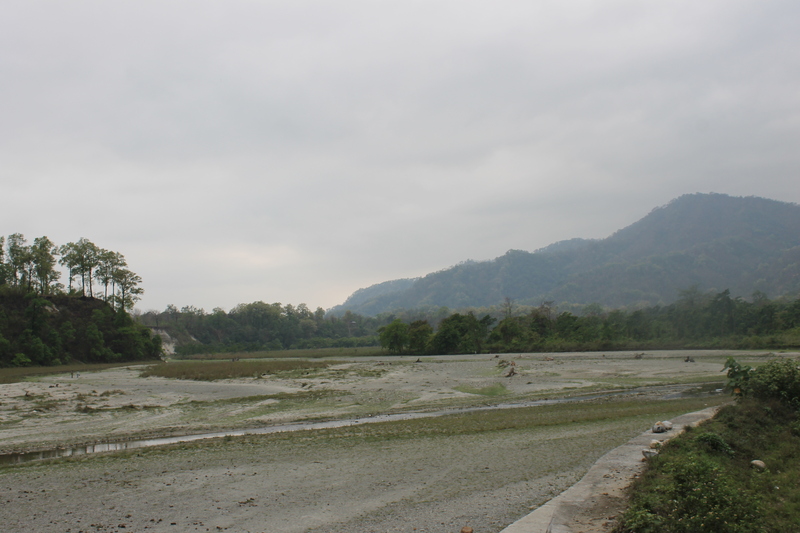 On the way, we pass by the University of North Bengal (it is the only university in northern West Bengal) situated about 9kms away from Siliguri in the Terai region as well as the dried up banks of River Mahananda. We are in Darjeeling district now! We reach Siliguri, a border town for West Bengal located at the foothills of eastern range of Himalayas. 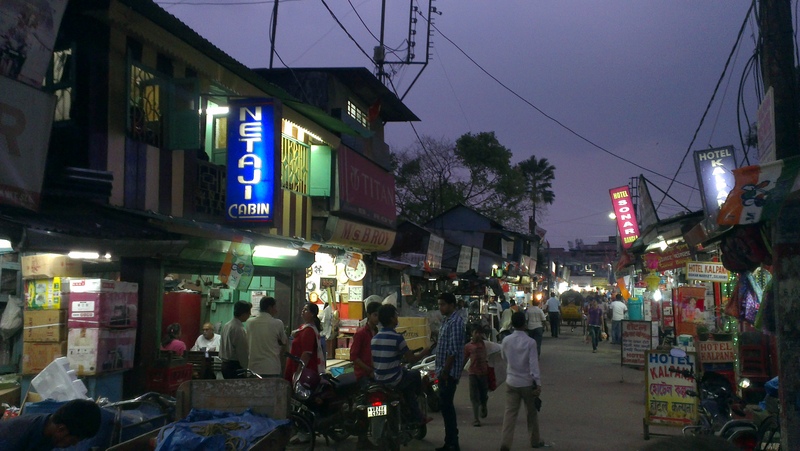 Siliguri is considered the gateway city to the northeast India. We’re staying overnight at Orbit Mall Hotel, Siliguri, and to wait for the Enfield Riders team who would be joining us the next day. 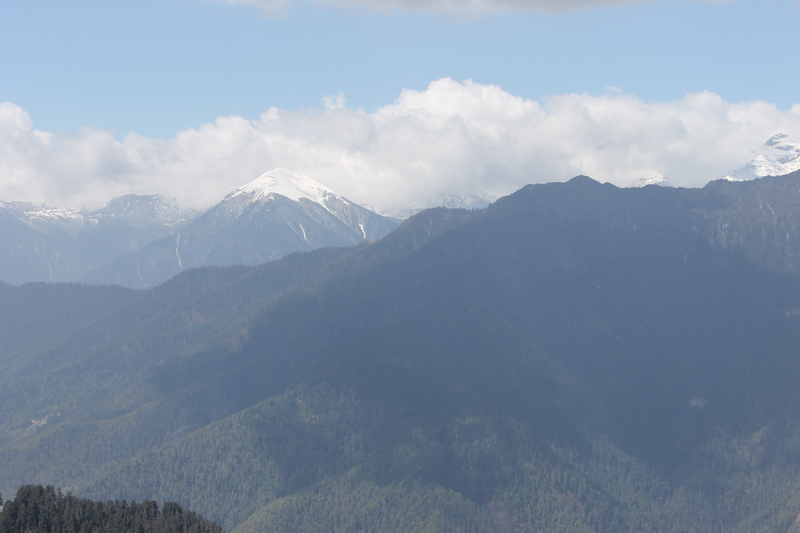 From our hotel room, the eastern Himalayan range is easy on eyes. Planning to explore Siliguri a bit and have lunch, we take a shared MPV auto rickshaw to Hong Kong market. These auto rickshaws have seats for six people commuting from one fixed point to another and charge a fixed price per person. Reaching the main entrance point to Hong Kong market, we start walking along the maze of roads within the market. Now hungry, we were looking for some Chinese eat outs. Since it is already past lunch time, we had to hop from one restaurant to another for want of proper lunch. At a Chinese restaurant, the owner- lady suggested the Grizzzly’s Café and gave us the direction. 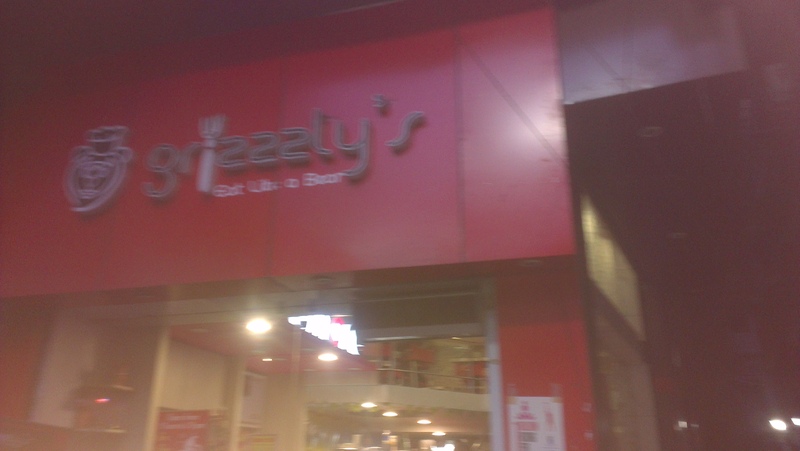 Located in Seth Sri Lal Market, the Grizzzly’s Fast Food Restaurant is a place where one can ‘eat like a Bear.’ The funky, balloon-festooned restaurant’s theme is all about the Grizzzly Bear, a trivia about the great animal written all over the café walls. The food is amazingly lip-smacking. Hot Chilli Momos, steamed momos, Paav Bhaaji, and topping it with the masala chai left, we leave the restaurant with spicy memories. We wander around a bit more, and walk through ‘themed’ streets, one for only hardware shops, one for just clothing, one for everything automobile, so on. 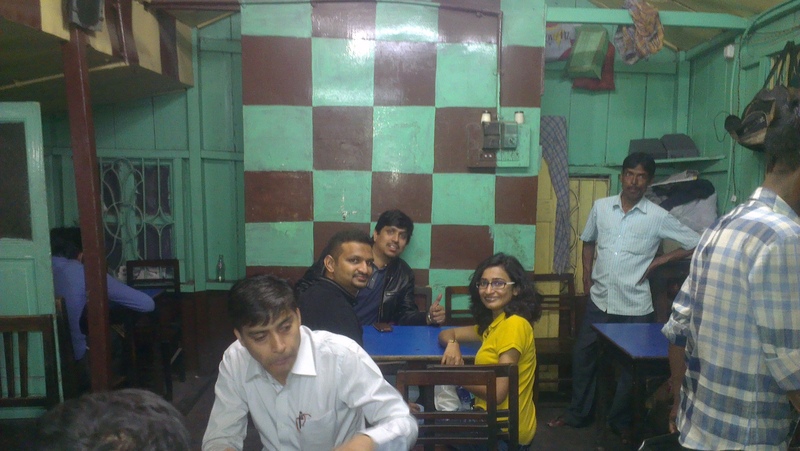 Stopping for a local taste of paani puri, we see a small, old-looking tea shop, Netaji’s Cabin. Located along the bylanes of a market and named after the famous freedom fighter, Netaji’s Cabin is both a tea-coffee shop as well as an eatery. The tea served here has a strange, tangy bitterness that is hard to forget soon. Returning to the hotel by the cycle rickshaw or the Toto rickshaw is adding another slice to our Siliguri memory. Breakfast at hotel, we meet our road captain and our mechanic for the trip. We are now waiting for the fellow riders to join us. 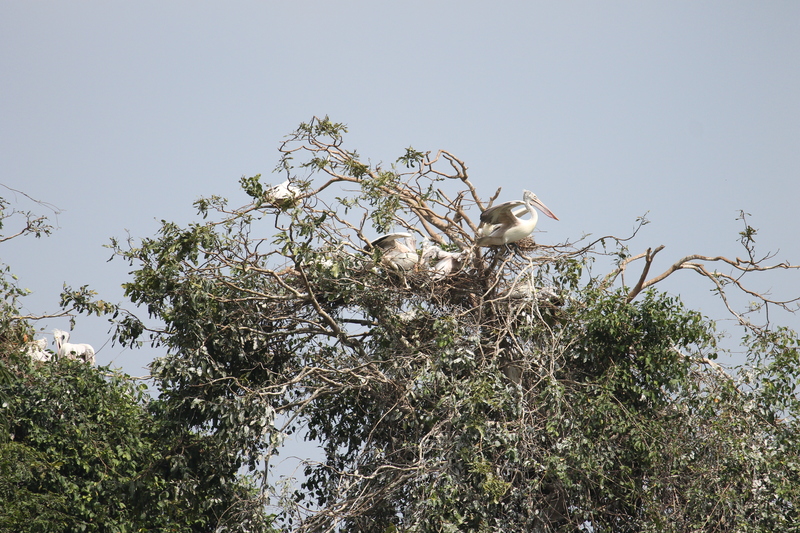 They are flying in from Mumbai. The ride is to start by 1pm. Having assigned bikes and riding order, the road captain taking the lead and the tailing bike along with the backup jeep we are all set to go. Full tank and all geared up we start our first day’s journey through Ambari, Phalakhata, Maynaguri, Dhupguri, Gairkhata, Navakhata, Sakojhora, Birpara, Uttar Madarihat, Hasimara, and finally to Jaigaon and Pheuntsholing, the Bhutan border check post town. 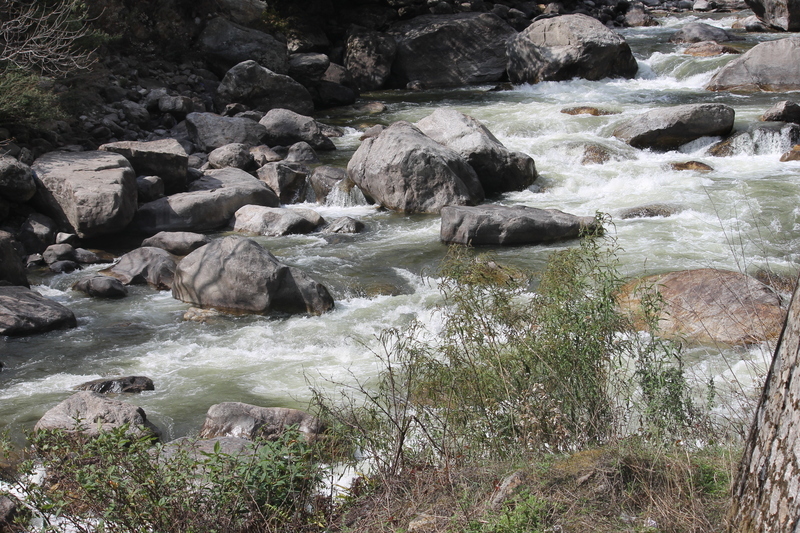 The drive is very similar to the Ghats in Karnataka, with the first thrilling glimpses of Himalayan snowclad peaks. 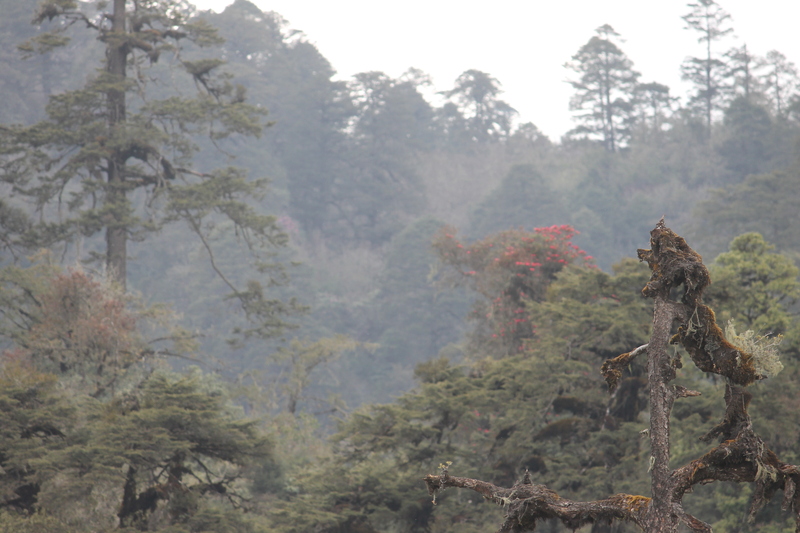 As we traipse through the plains of tea estates along the Dooars plains and a wildlife sanctuary bordered by hilly, undulating terrains, lush green trees, unidentified flowers, and occasional Jedon’s Baza keep us company. Our first lap of biking has started to warm up. Jaigaon (India) and Pheuntsholing (Bhutan) are two border towns separated by one grand Buddhist arch. 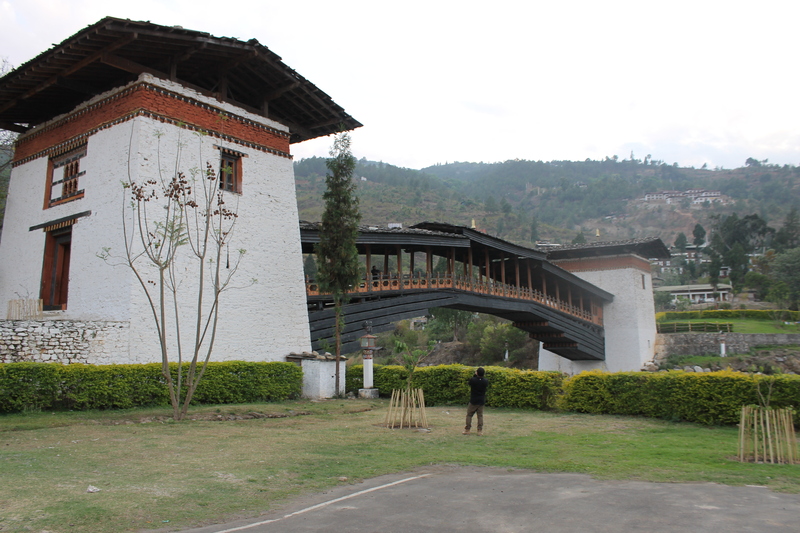 Once you enter the arch, the very first building to the right is the Bhutanese border check post at Pheuntsholing. Permit should be taken for both individuals as well as the bikes. To reach the checkpost, we ride by the long Main Street for a U-turn at a circle, despite several breaks on the midsection partition. 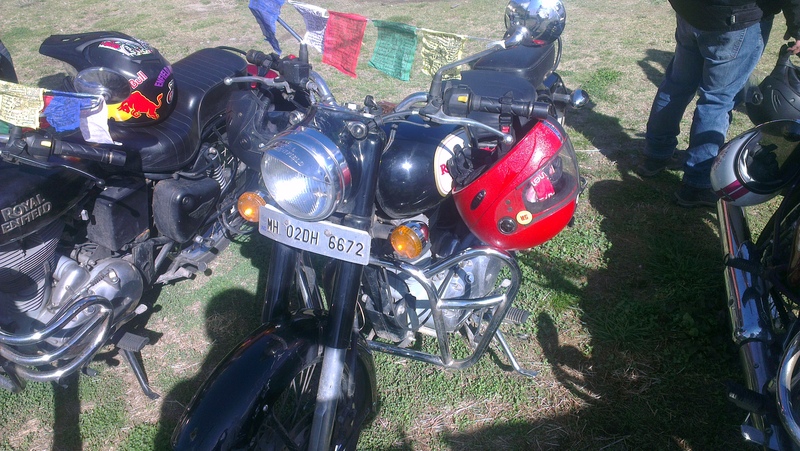 The traffic rules are very strict in Bhutan, helmets are compulsory for both the rider and the pillion rider. 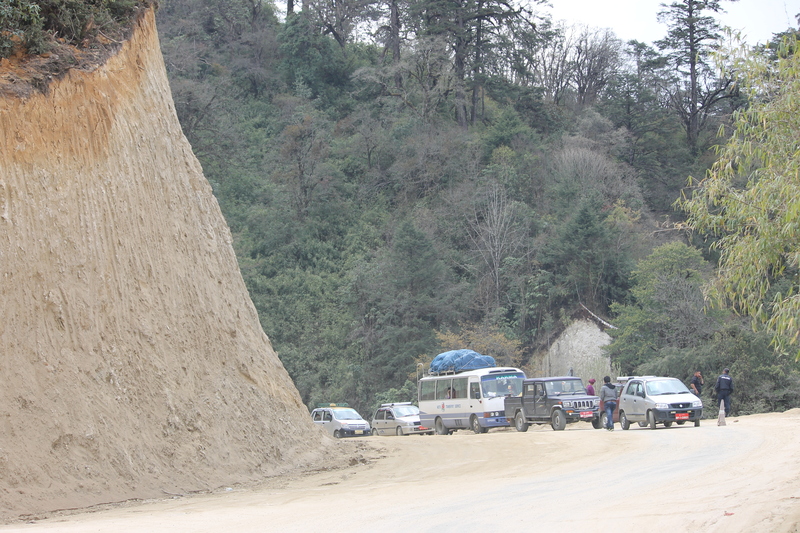 In Bhutan we learn that one is not allowed to overtake from left nor allowed to break the lane discipline within the city. People here wait patiently for their turn even during long traffic blocks without honking or overtaking. 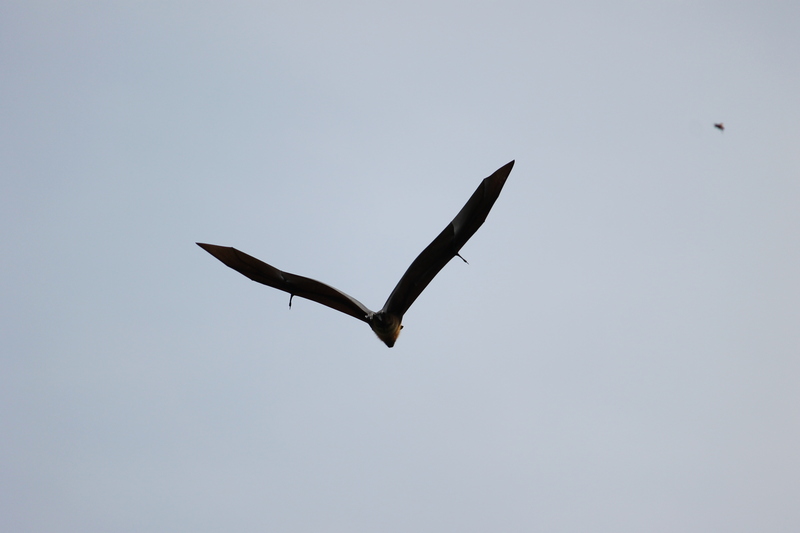 By 7pm we manage to get permits for the individuals. Bikes will have to wait till the next day for the vehicle permits. 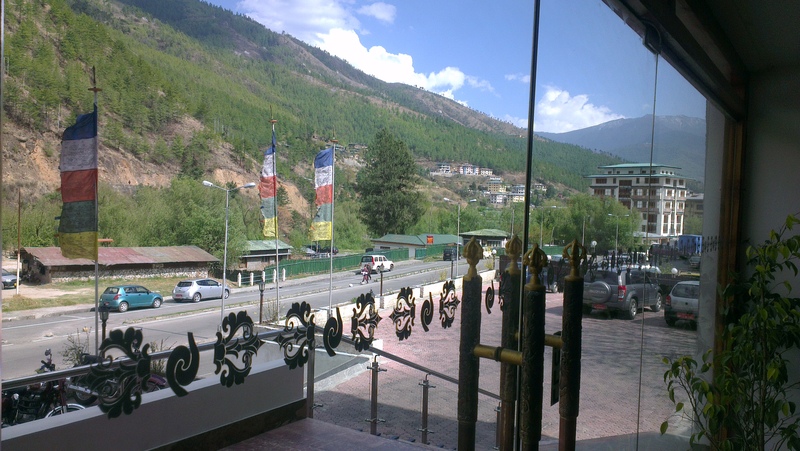 We check into the Park Hotel, Phuentsholing, Bhutan. Having some time before dinner we decide to saunter out to explore a bit around the hotel. Though it is not yet 8pm the town with sloped roads looks sleepy, There is not much traffic, a few restaurants show some slow activity around, a monastery in the middle of the town, quite a few Indian faces, and a patrolling police jeep cruising along the main street. And lo, there is a girl heavily drunk and swaying, a guy trying to hold her steady and trying to lead her homewards. 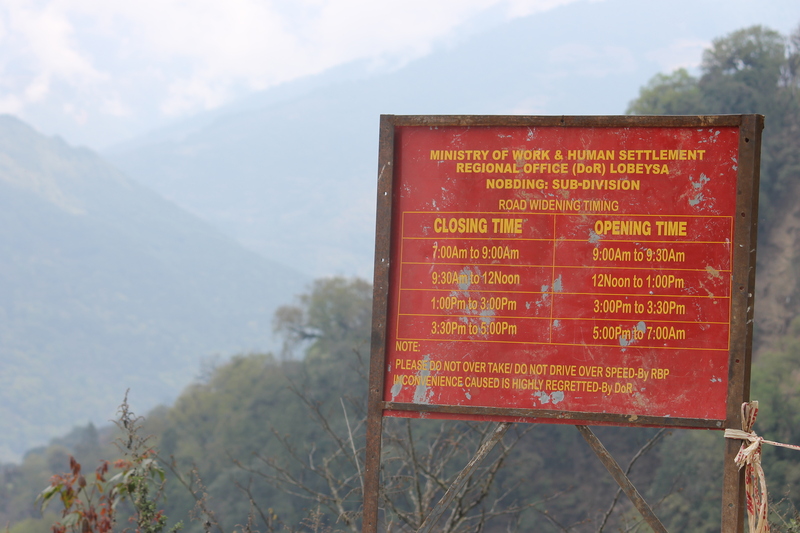 Surely, here in Bhutan the roles are pretty reversed to what we see back home! I cannot not but wonder what that guy is telling the girl. Dinner at the hotel with the team. Morning after breakfast is spent waiting for the bike permits at the Park Hotel foyer. 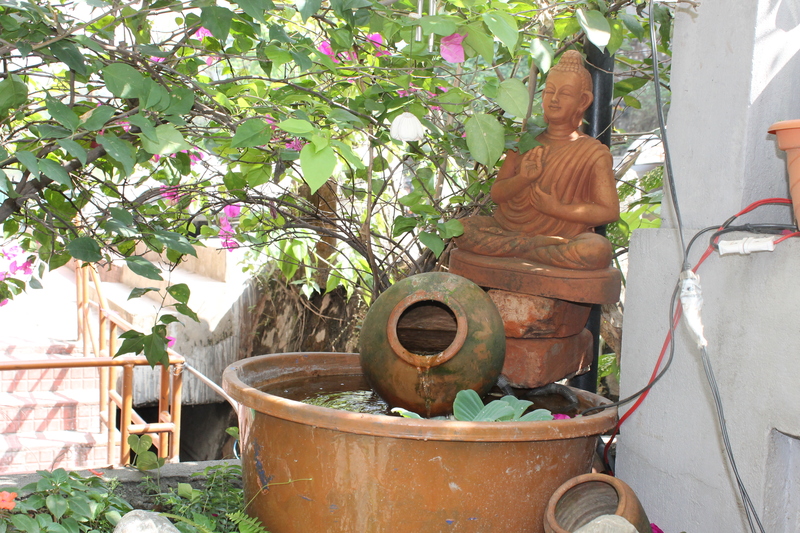 The day is pleasant and camera-happy at the Wishing Well and quaint Buddha and Bell corners at the tiny courtyard. 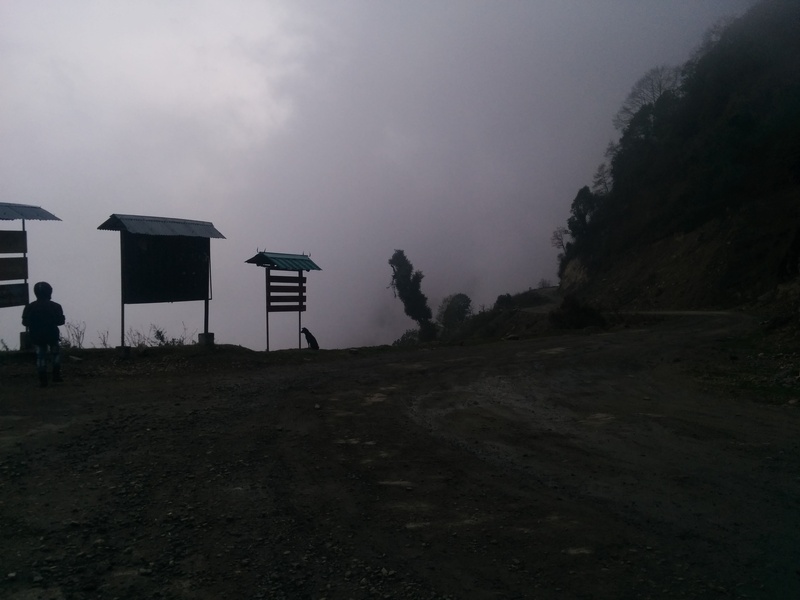 Around 11 am, all permits obtained, the first lap starts from Pheuntsholing to Paro via Gedu, Chukha, Chapcha, and Sakenang – a two-hour drive. 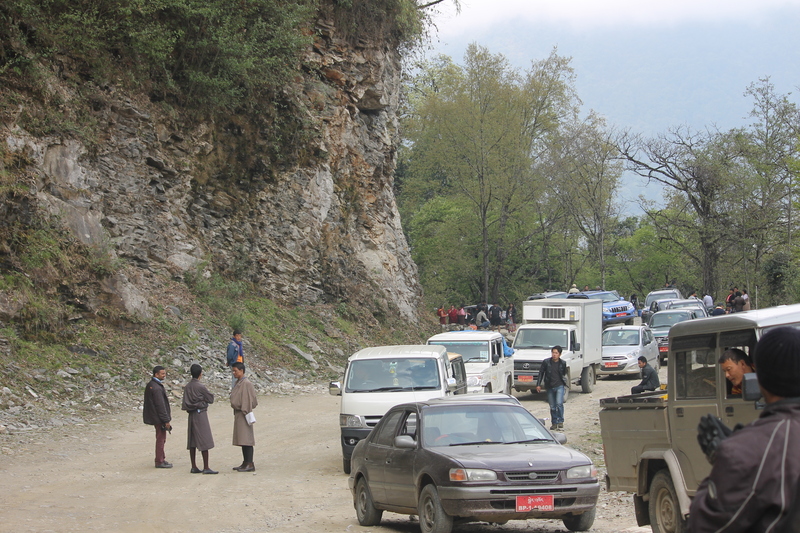 Keeping in mind the strict traffic rules in Bhutan we left Paro and stop at a road block. A glimpse of Gedu village; Shops, Restaurants and houses – all in one. 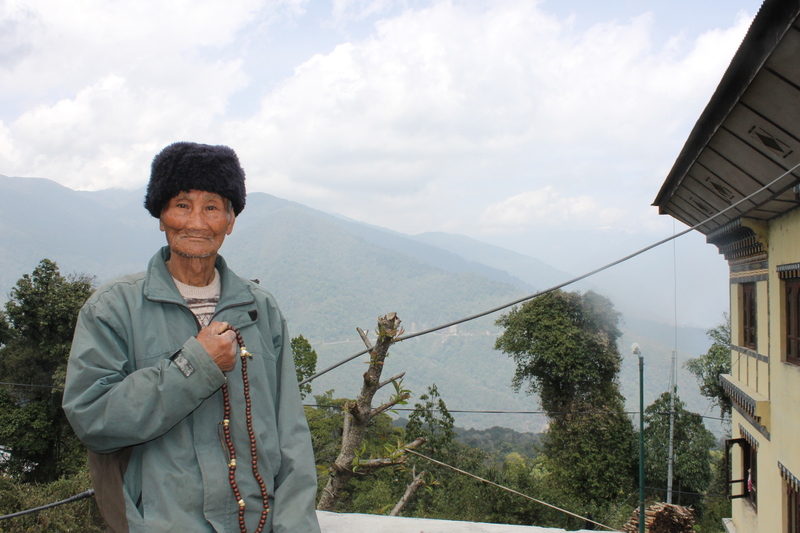 On the way, a quick stopover at Gedu for a breather; we exchanged words with a chanting nonagenarian. 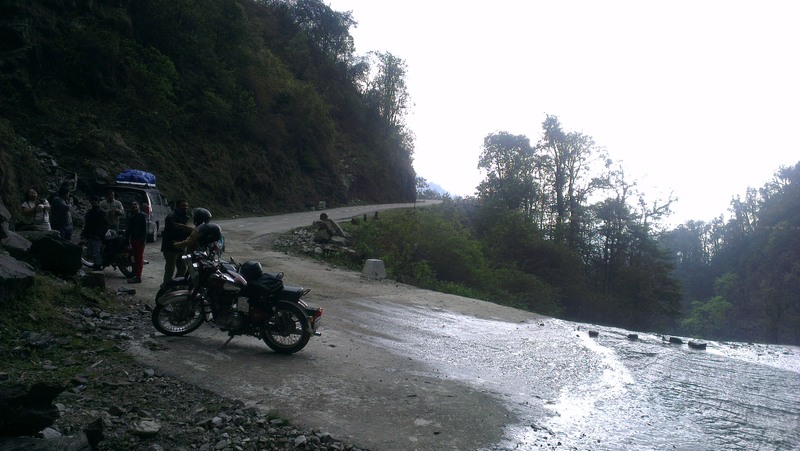 The ride is spiced up with a majestic sight of a waterfall alongside the valley making its way at three levels, ranges of woody mountainsides and deep valleys. 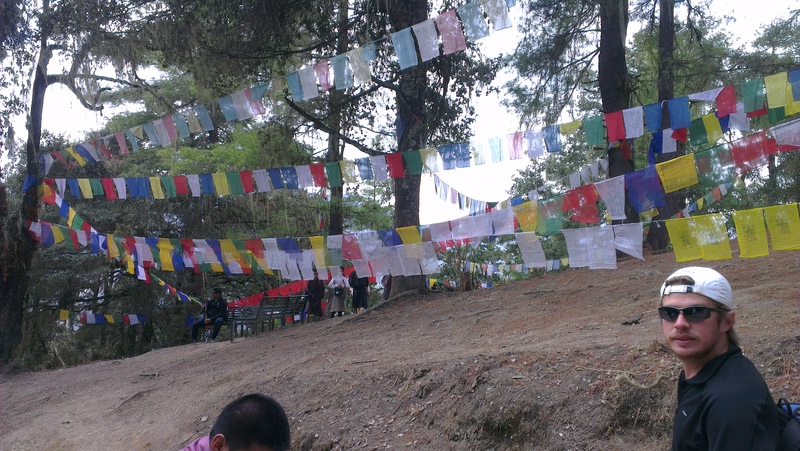 First sight of a prayer flag. Along with prayer wheels and Chortens, they are to be our recurrent sights for our entire trip – the symbols Bhutanese religion and tradition, the prayer flags, prayer wheels, and Chortens. 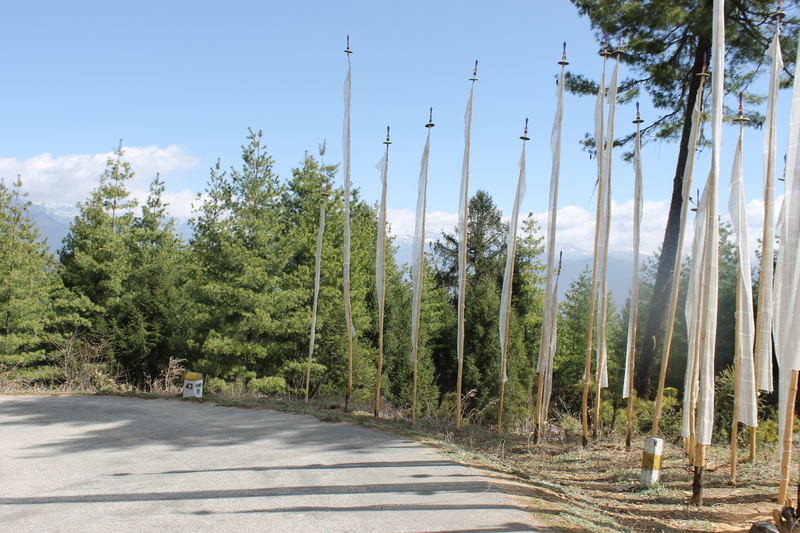 Prayer flags are either white or five-coloured depicting the five elements of nature – air, water, wood, sky, and fire. These flags may or may not have religious texts written on them. Prayer wheels are either turned manually or by the running water. Chortens or stupas stand at the center of the road blessing the passersby; it is mandatory that Chortens are passed by one’s left, in the clockwise direction as if one is circumambulating. Lunch stop is at D2K hotel for a sumptuous buffet of rotis, sabji, salad, rice and dal. 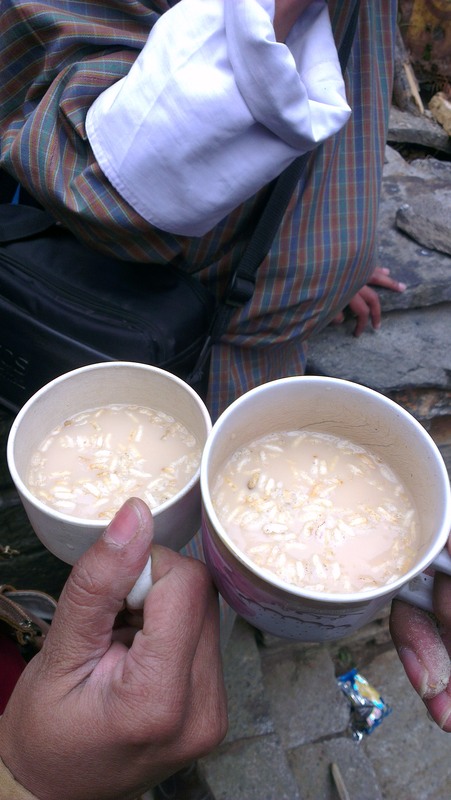 To taste and experience the hot, buttery salty Sucha, the Bhutanese tea made of Yak butter and salt for the first time, all one needs is to have no taste expectation, but to enjoy it for what it is, than expecting it to be sweet and Indian chai-like. The D2K hotel owner Tashi is a chirpy and die-hard fan of Indian TV serials. Her toddler son Dudu is a dynamic, mini Bruce Lee/Jackie Chan. Dudu entertained us with his amazing martial art moves, while his mom whose TV addiction to everything Indian including the saas-bahu sagas, spoke to us in excellent Hindi. She was happy to accept Indian rupees. She told us that BC is Bhutanese currency, IC is Indian Currency. When we asked “Kya Indian Rs. 500 Chalega? !” her stat reply is “Chalega nahin, Daudtha Hain.” She loves the way Indians ‘decorate’ themselves for their weddings as compared to the Bhutanese mere exchange of vows and no mangalsutra or sindhoor to indicate a married woman sign. What does she want from India when we come next? Shah Rukh Khan or Salman Khan! 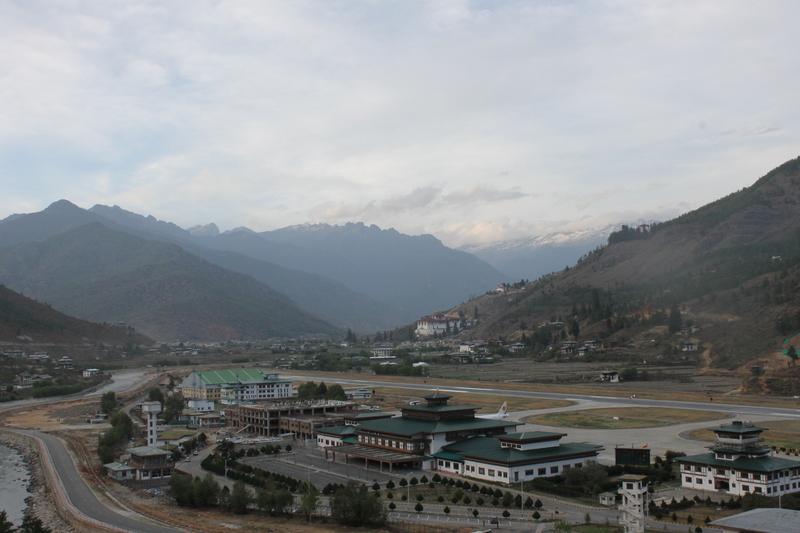 Reaching Paro by a hillside road, we get a bird’s eye view of the Paro Valley and the Paro International Airport from where the Royal Druk Air and the private Tashi Air operate. 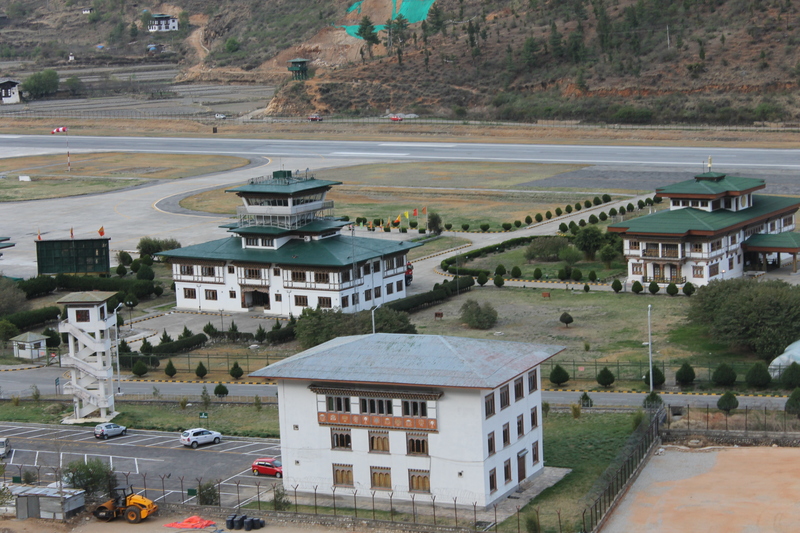 The aerial view of Paro Airport, considered one of the most challenging airports in the world and only eight pilots in the world are certified to land at the airport. The Paro Airport nestling amongst a range of mountains is considered one of the most difficult commercial airports in the world to navigate. 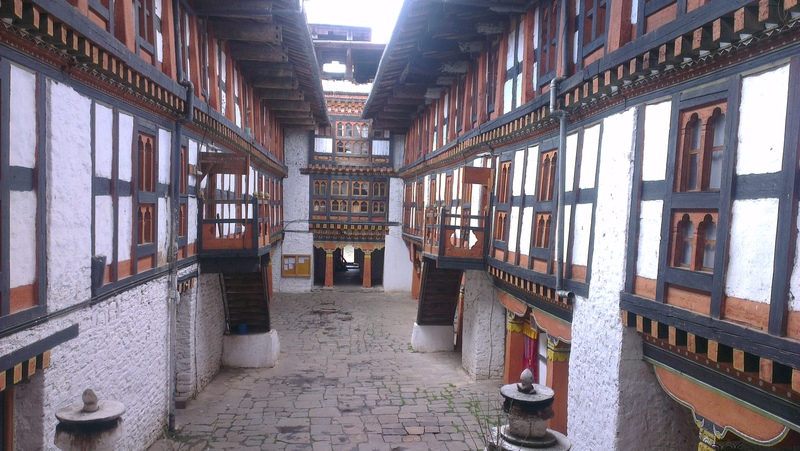 The sprawling valley town of Paro lies along the banks of the Paro Chu or Paro River, dotted with monuments like the Paro Rinpung Dzong, Kyichu Lhakhang, and the ruins of the old fortress of Drukyel Dzong amidst the civilian houses and commercial areas. It is just after 5pm, and we enter the Paro town just as the world famous annual festival, Tsechu gets over. The huge crowds gathered for the grand religious event is just then going home. We move to the UgyenPhenling Resort, a sprawling resort outside Paro overlooking the mountains of the Tiger’s Nest. As the evening draws close, the team gathers around for a whiff at the bikers’ favourite pastime, hookah, with flavors of orange, paan, and mint. The night sets in bringing a few thunderclaps and a shower making us worry if it could hinder our next day’s climb up the Tiger’s Nest. Today is Easter. After breakfast a car dropped us all at the foot of the hill upon which Taktsang (Tiger’s Nest, which means in Dzongkha Takt = Tiger, Sang = Nest. Taktsang Monastery is literally a cliffhanger that nestles . To reach the monastery one has to trek along the side of two hills. One can choose to hire a horse or a mule but that can take only half way, the rest of the way has to be by foot up the steps towards the monastery. 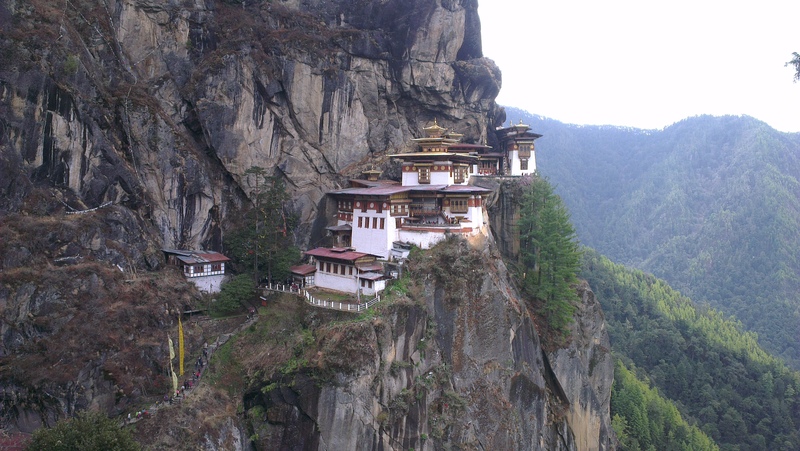 Taktsang Monastery is believed to have been built on a precarious hillside by Guru Padmasambhava in 1692. 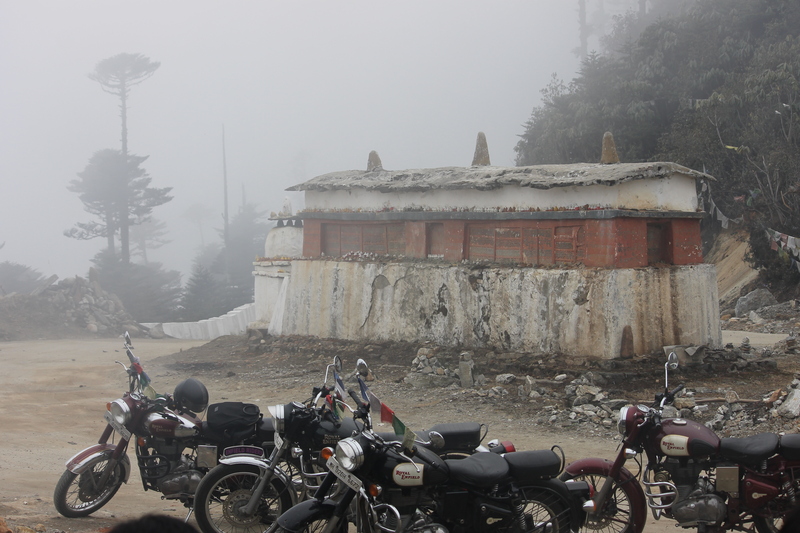 According to the legends, Guru Padmasambhava flew from Tibet to this location on the back of a tiger to tame demon. The walk or hike up the hill treats us with almost supernatural beauty around. 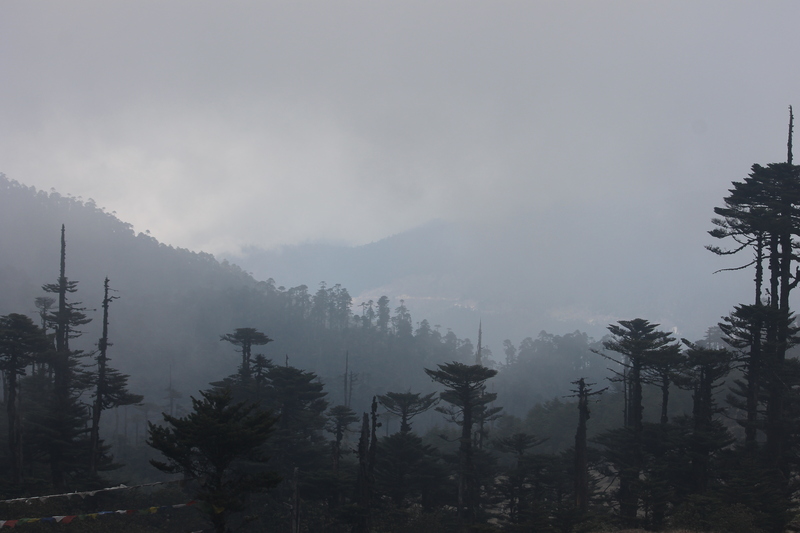 The pine trees and rhododendron trees on the hillside, the majestic view of mountains as far as the eye can reach, the holy cliff upon which the Tiger’s nest rests, looming large and offering image after image in the rock forms. One is rendered speechless and breathless. Is it the overwhelming sense of etherealness? Is it the awe-inspiring Mother Nature? Or is it the breathtaking walk up the steep hill steps? It is hard to discern and define. We stop midpoint at the lone cafe for a refreshing cuppa and move up ahead. 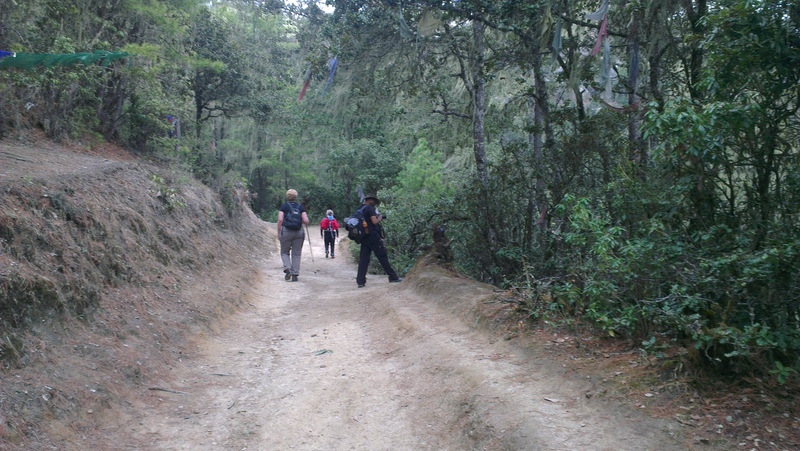 The walk uphill is dotted with numerous small clay offerings called Tsha Tsha piled up in various rock niches. 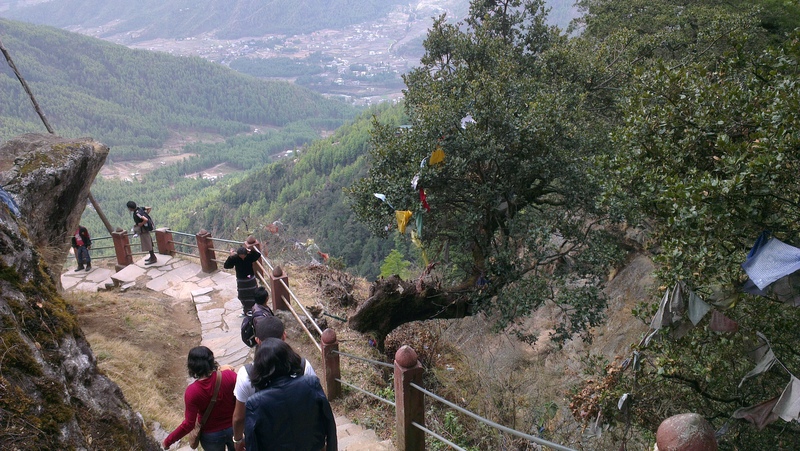 Reaching the Tiger’s Nest, we visit the eight temples for each of Guru Padmasambhava’s manifestations. 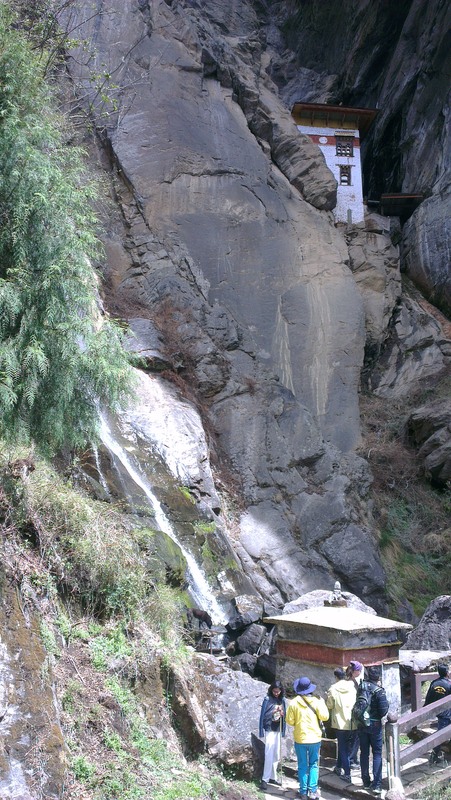 The cool, refreshing waterfall just beneath the Tiger’s Nest and the taste of the Bhutanese chai with puffed rice remain in our memories of Taktsang. 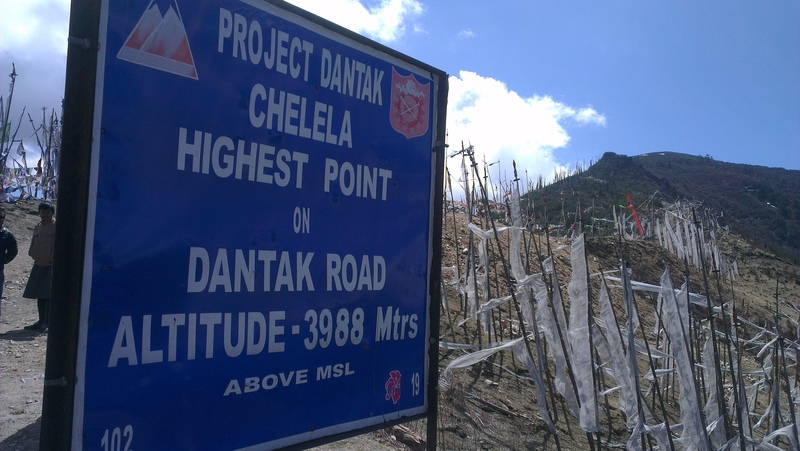 Today’s route is from Paro to Thimpu with a small detour to visit Che Le La pass (La = Pass in Dzongkha) is the highest point on Dantak Roads at the altitude of 3988 metres above sea level. 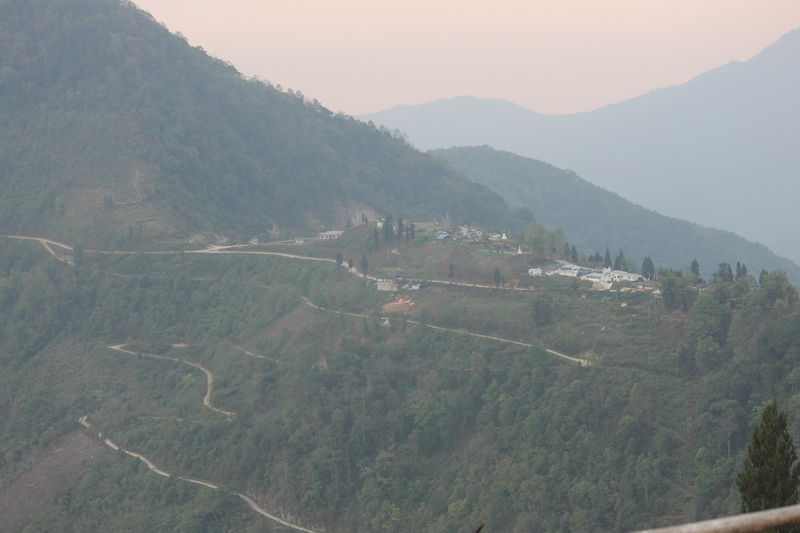 The Che Le La overlooks Haa Valley and the Haa Village where the Indian army camp is based. 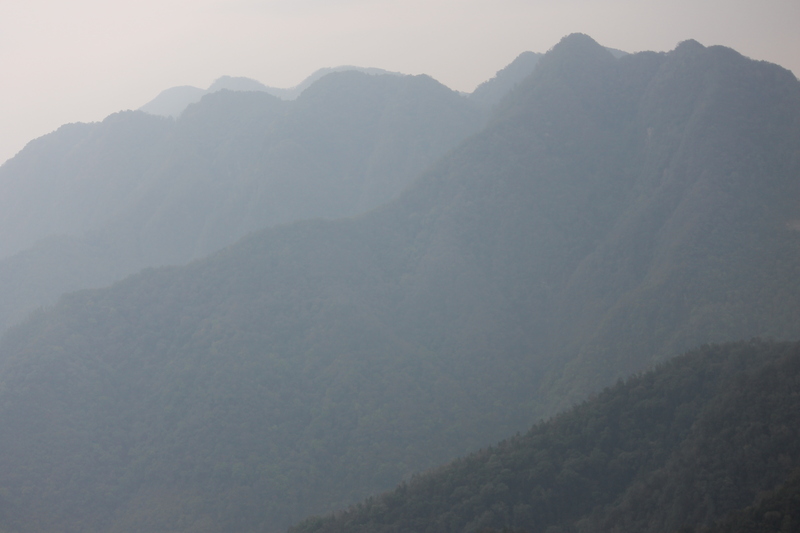 Incidentally, the Haa Valley is situated at the China border. The ride up to the Che Le La Pass is winding up the mountain with patches of frozen ice amidst the trees and plants waking up to the call of early spring. Alongside the roads one could see patches of tiny yellow and purple flowers. There is not much traffic except a few on both the sides, hence the ride is just a smooth one. Paro to Thimpu is a highway laid across the mountains and they are double roads, so wide and well done with cement and tar, our highways can get a great competition. As we enjoy the smooth ride, a long line of VIP-looking entourage passes by led by a formidable looking pilot jeep. There is a fleeting glimpse of faces that seemed very like the Bhutan’s King himself, which left me wondering what a wonder to share the road with the Bhutan Royalty who created no fuss of blocked long line traffic of disgruntled vehicle drivers that is seen in India. As we ride further ahead we passed a few more military jeeps and after a few kilometers and a turn ahead I see our road captain and the second bike with our fellow bikers are stopping ahead around a military-police looking stop. Presuming it to be another military check post for our entry permits I prepare to stop my bike, but the road sloping down makes me go ahead and beyond where our road captain had stopped by. As I continue to put the brakes I notice a military jeep to my right coming ahead and I put full brakes and came to an almost skidding halt and managed to not touch the army vehicle. Only as I put the bike stand do I notice an army man approaching us and ask us where we were from and where we were going. I reply we are from India, traveling from Paro on our way to Thimpu. He asks us why we did not stop when their King was passing by. We all are taken aback since we were not aware of this custom. The officer takes our road captain’s phone number and let us go. After about twenty minutes of ride just as we enter Thimpu a policeman is waiting for us. He escorts us to the police headquarters and the riders are asked to meet the police chief. The police chief speaks to us and expresses disappointment that we had not shown respect to their King by stopping when the King’s convoy passed by. We express our regret and that it was unintentional, that we were unaware of the custom and we had not meant to show any kind of disrespect to their Royalty. Each of the riders tenders a written apology letter. The Police Chief even gives us a parting and cordial advice to take care while riding along the mountain roads and beware of rash truck drivers. This chance encounter with the Royal Bhutan Police is a revelation of how the Bhutan Law functions, in all its cordiality, etiquette, and dignity shown at the offender/culprit. Our hotel for the night is Dorji Elements, a beautiful new hotel located at the base of a mountain overlooking a quaint Indianoil petrol bunk. After lunch we ride to The Folk Heritage Museum (Phelchey Toenkhyim), a museum dedicated to Bhutanese folk heritage and rural history. 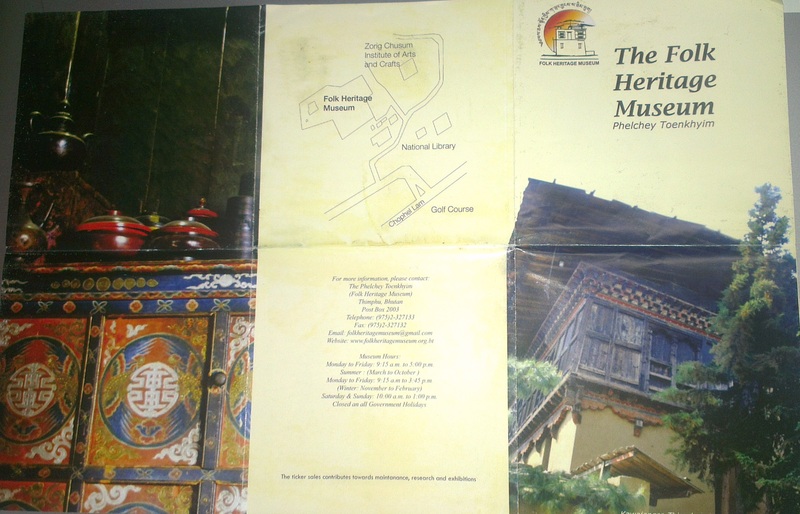 The main exhibit in museum campus is a three-storeyed timber house depicting a typical Bhutanese family life in 19th century featuring the kitchen, hunting and warring equipment, the sports and entertainment gear, various usages of yak skin, shed area meant to rear cattle, pig, and sheep, as well as the religious sections. One of the most memorable exhibits is the Bhutanese stone bath tub. A stone slab with a small hole in the center divided the tub, as a sitting section and a section for water. 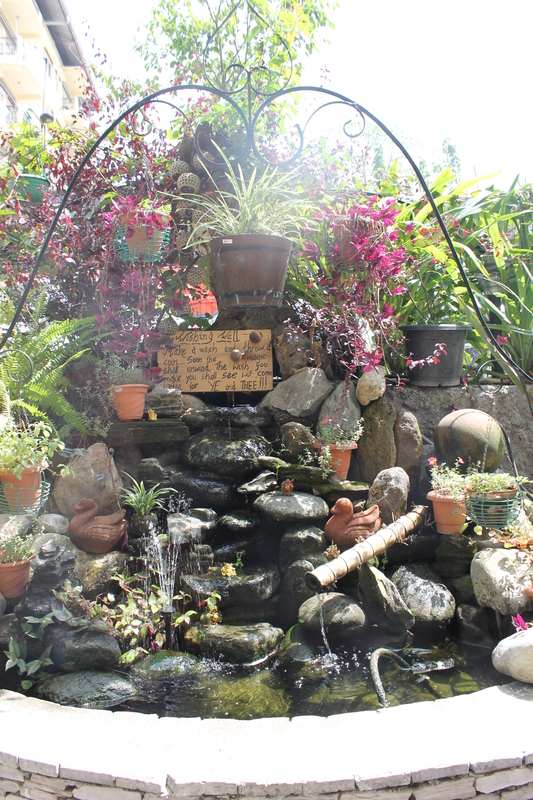 Stones were heated externally and dumped into the water section, the water heated thus would flow through a hole in the stone partition so that the person lying in the other section could bathe. 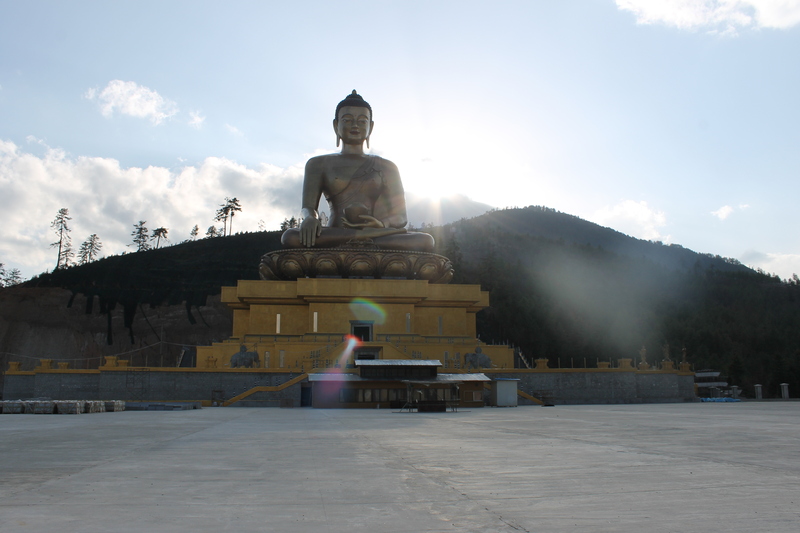 We next drive to Buddha point, the small hillock just outside Thimphu upon which one of the largest Sakyamuni Buddha statue (169ft.) is under construction since Feb 2014. While the statue is to commemorate the centennial of the Bhutanese monarchy it is also said to fulfill a couple of century-old prophecies. As we ride up the hill to visit the soulful monument, the motto of a school alongside “Excellence in Mind, Body, and Speech” seems to complete the spirituality in the air. Rest of the evening is spent by browsing along a shopping lane, the shops with trinkets for travelers far and near. A stop at a tiny tea shop for chai and a plate of hot, spicy fried chillies, seated on wooden benches alongside chatting Bhutanese girls will remain as yet another unforgettable native taste. After dinner, we go visiting a bar close to Dorji Elements which offered live band and a karaoke. Our fellow rider belted out a song. While enjoying a sip we chance upon a Bhutanese guy who had studied in Bangalore for a few years. Curious to taste Tequila in Bhutan, we discover that either a bar has to offer tequila or just lemon slice! So we turn a bit innovative, buy a lemon in a store and buy Tequila at another bar to get a taste at it. 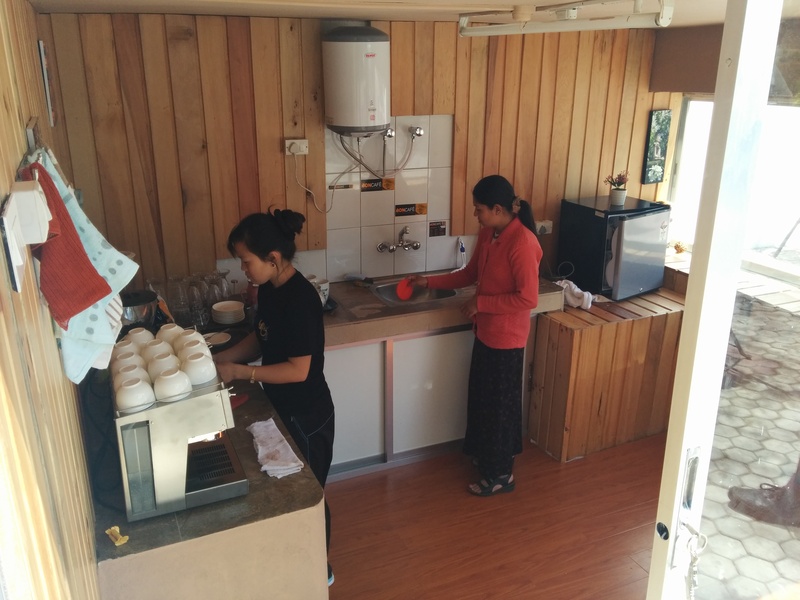 After breakfast, just as we are about to start on our day’s ride Chimi the cordial owner of Dorji Elements invites us to her newly opened PK Coffee Shop for a cuppa. Inspired by the movie PK as well as to acknowledge her husband and brother-in-law’s help in building the hotel she has named her quaint café after their initials P and K.
It is our sixth day of ride of about 77 Kms. 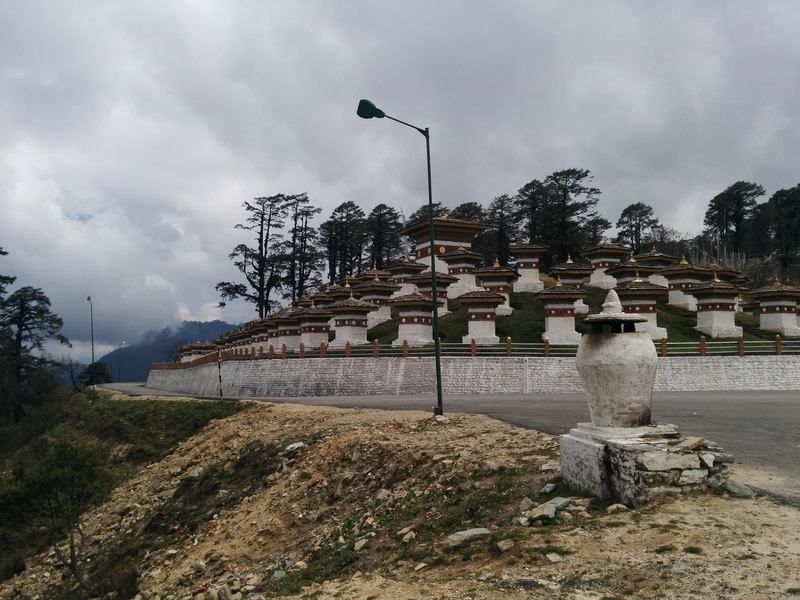 from Thimphu through Dochu La Pass to Punakha Valley and onto Punakha town. At Dochu La pass we stop for a short break. 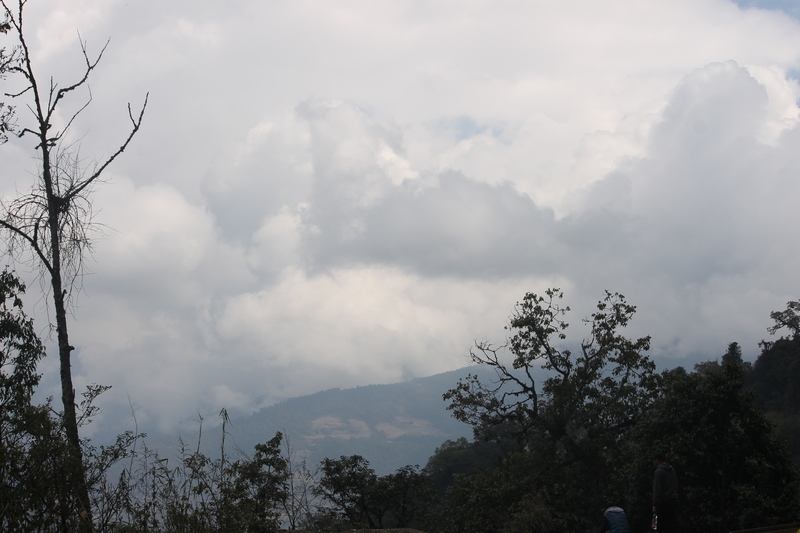 It is one of the unique places which offers a view of Bhutan in all directions. As luck has it, it is a clear day with just a few wisps of misty clouds. 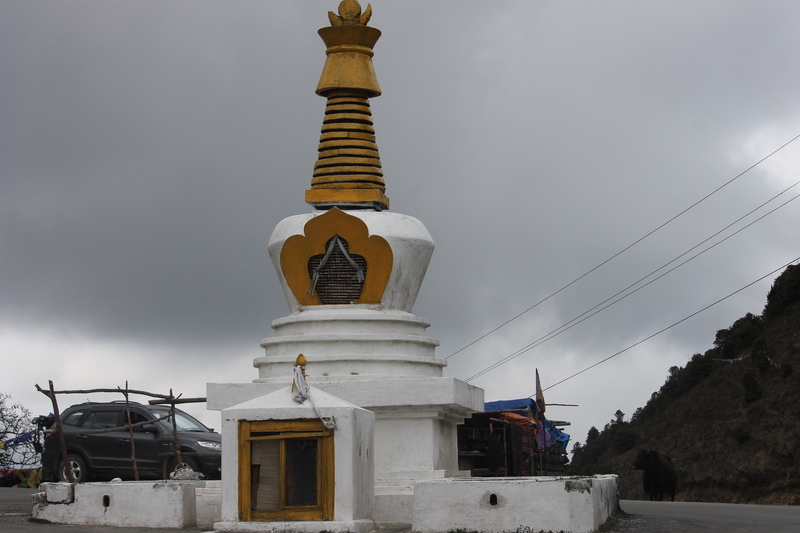 Dochu La pass is also the location of the 108 Chortens (stupas) memorial built by the Queen Mother, Her Majesty Ashi Dorji Wangmo Wangchuk, to honor the victory of the Bhutanese army in Southern Bhutan War 2003. Each Chorten contains Buddha’s effigies and religious texts. The memorial was meant for both the Bhutan soldiers as well as the Indian rebels. 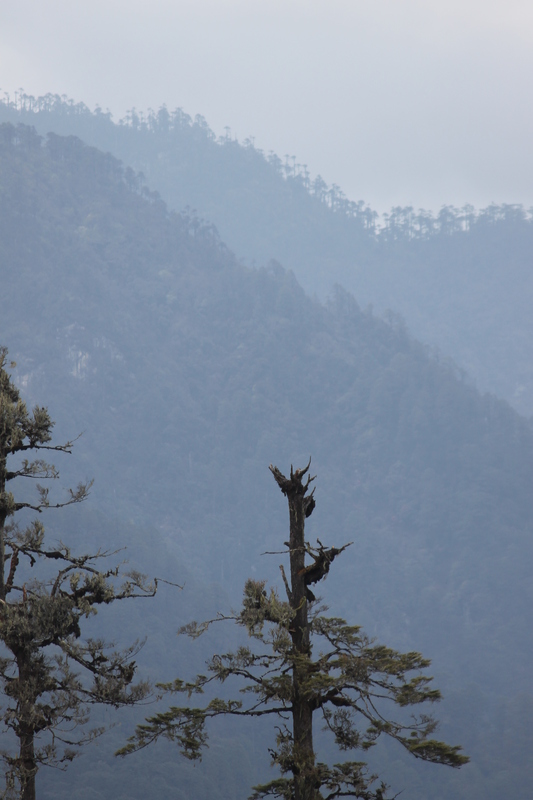 After capturing a few fleeting moments on lens we start onwards through the Jigme Singye Wangchuk National Park, formerly called Black Mountain National Park. 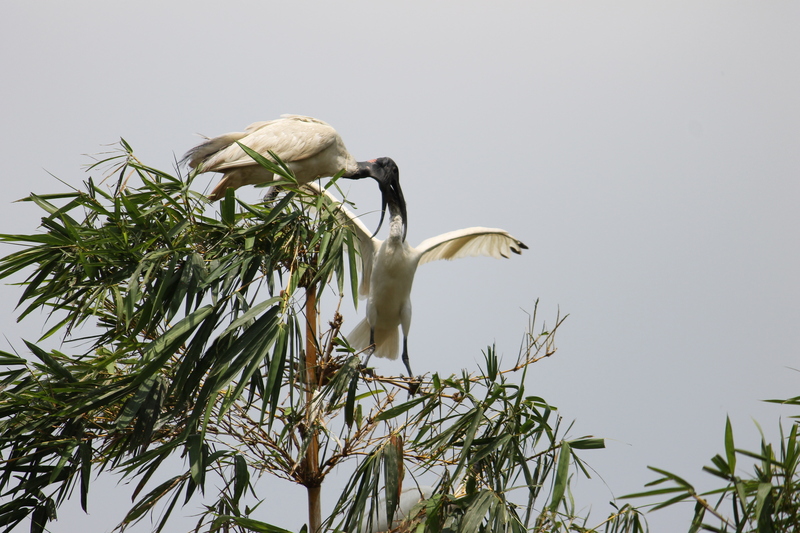 As we are crossing the National Park our tailing rider couple meets with an accident. At a curvy bend a stray dog rushed directly at them making them lose control and skid. The couple are hurt and had to be sent by the backup car ahead of us. As the road block time has set in we wait out the block hour by looking around. 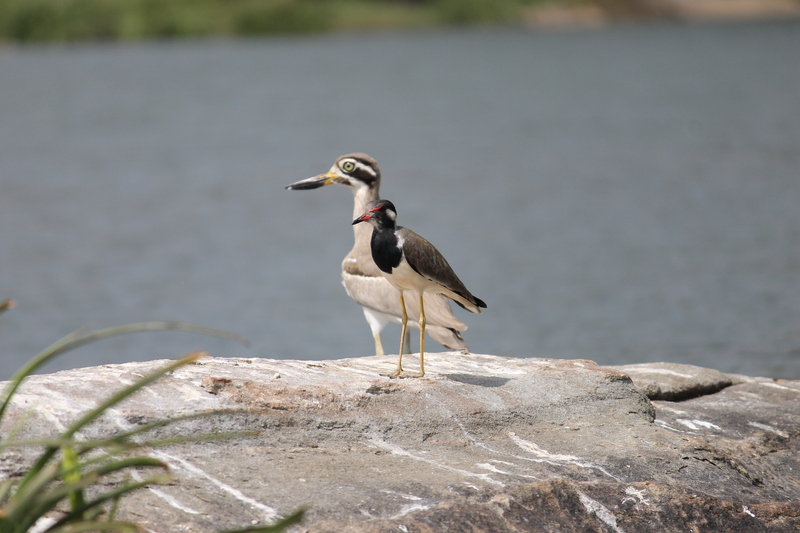 Set amidst multiple mountain ranges, the Jigme Singye Wangchuk National Park boasts of several animal, bird, insect, and plant species, and home to the endangered black-necked crane. Lush green trees along the mountain slopes, dotted with the early spring flowers and buds are nature’s treat for the traveling souls. Even the honeybees are furry. The soil at forestry areas is rich, firm at places, but sludgy and slippery at others. 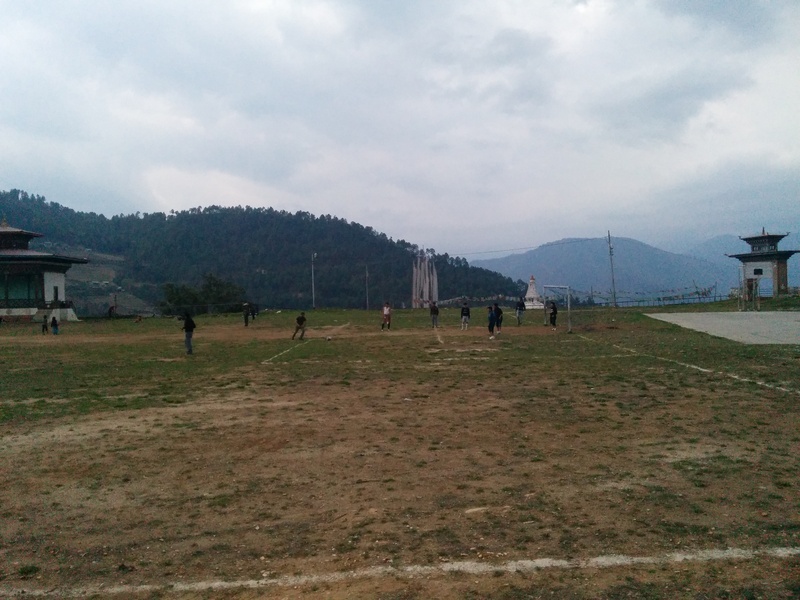 Once the block time was spent, we ride to Punakha via Lovesa. Reaching our hotel we have lunch. Since the day’s schedule is now a bit awry for the unfortunate incident, we decide to visit the Punakha Dzong, despite late after-visiting hours, even if it is just to feast our eyes with its external beauty. The Dzong is situated at the confluence of two rivers – Mo Chu and Po Chu, with a covered wooden cantilever bridge built across the Mo Chu. 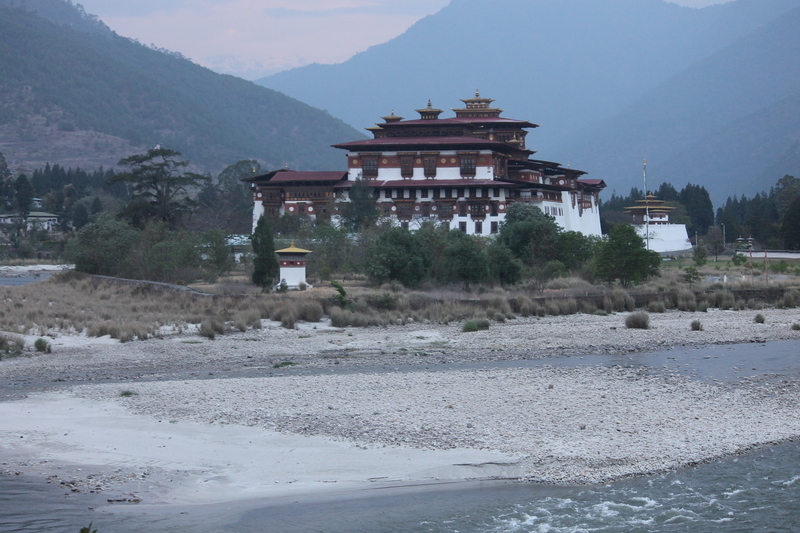 The valley and Dzong are vulnerable to flash floods caused by nearby glacier lakes. Apparently the first bridge was built in 17 century but was washed away in 1950s. The new bridge was built in 2008. Our companion riders had had proper medical attention. 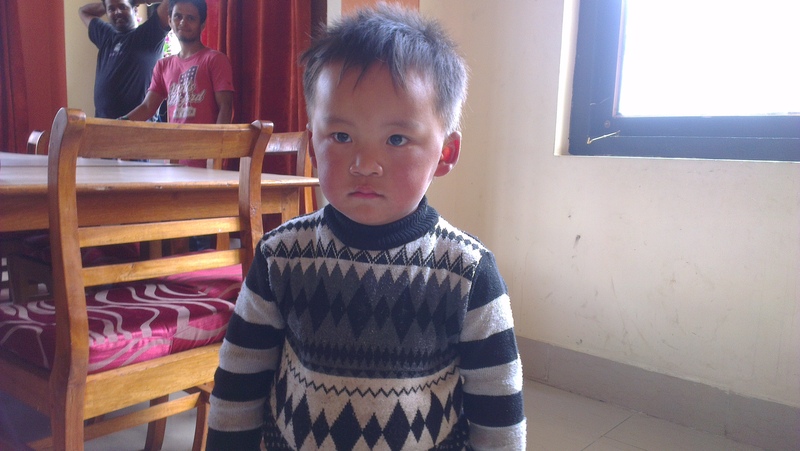 As it happens medical care in Bhutan is free of cost, even for the foreigners, especially for Indians. Though the modern medical facilities are far and strewn across the doctors are epitome of care and hospitality. Today is a long ride of 221 kms from Punakha to Bumthang and we need to reach Bumthang before it gets dark. The road for the day has dramatic zig-zag bends and heady curves. As we make across the thriling windings a glance every now and then around us makes our heart skip a beat. The steep cliffs across and the jutting rocks above us alongside play taunting game on our riding nerves. We are now crossing two mountain passes, the Pe Le La pass and the Yutong La Pass. Pe Le La Pass etches on our memory with its Chorten and prayer wheels. 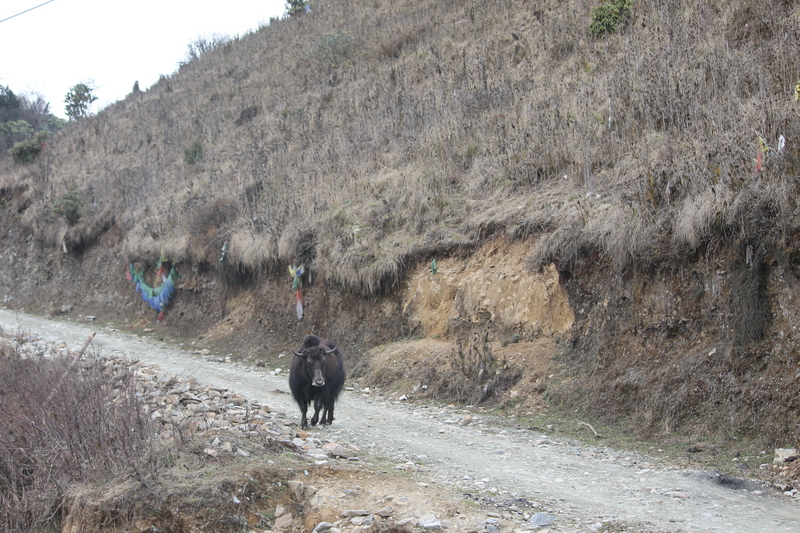 And of course, the first sight of the yak. It is the Yak Region from now on. On the way, we pass by a handful of road workers’ settlements. 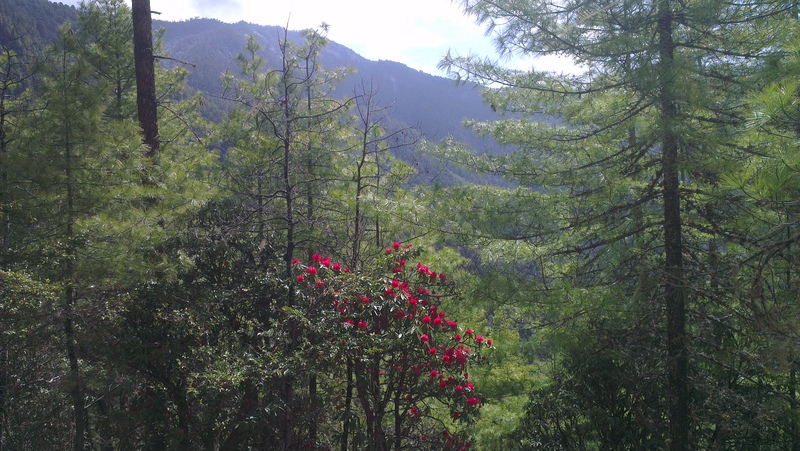 In summer, said our guide, the route is splattered with the rhododendron colours. 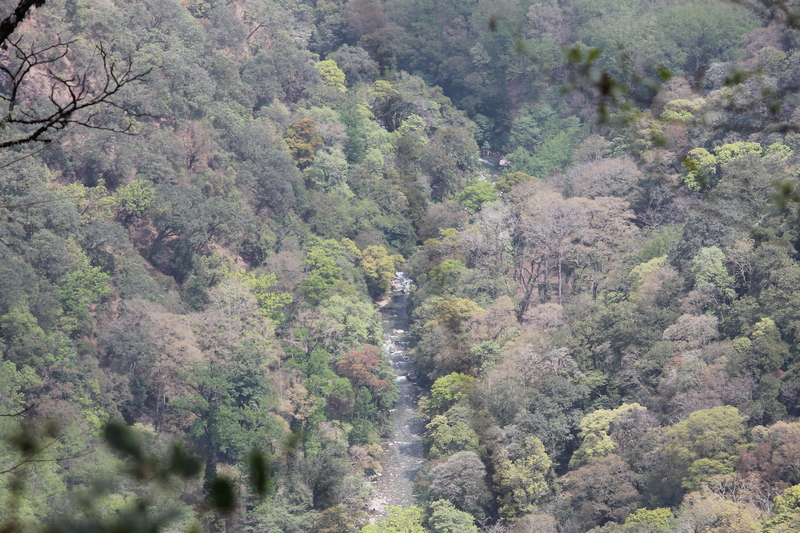 But for us, it is still early spring that offers us the budding green trees along the mountain side, dusty patches of road-making, and a beautiful waterfalls. 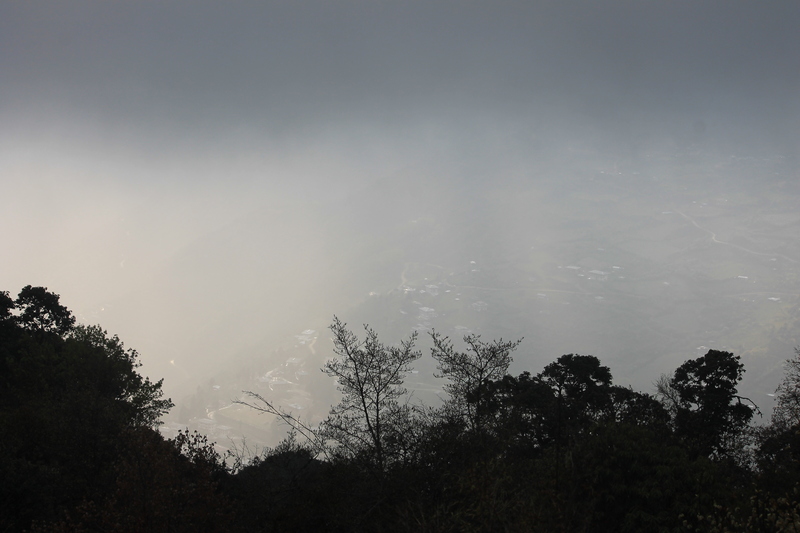 As we reach the second mountain pass for the day, Yutong La, fog starts to cover our roads. Just about 30 Kms from Bumthang a severe cold wave strikes us proving the local description as the second Switzerland right. Shaking and shivering uncontrollably despite thick jackets, head gear, and gloves, the freezing cold freezes through our very bones. 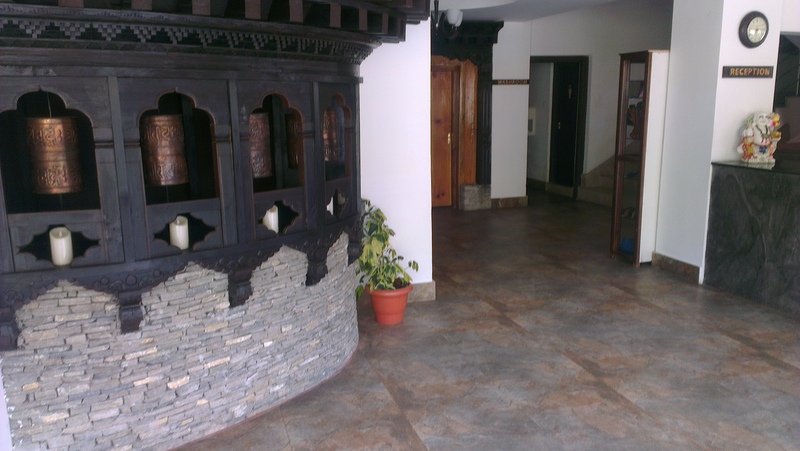 Reaching the hotel at Jakar, the Ugyen Resort, we rush to our rooms to warm ourselves at the fireplace. We spend the night of fun playing dumb charades. 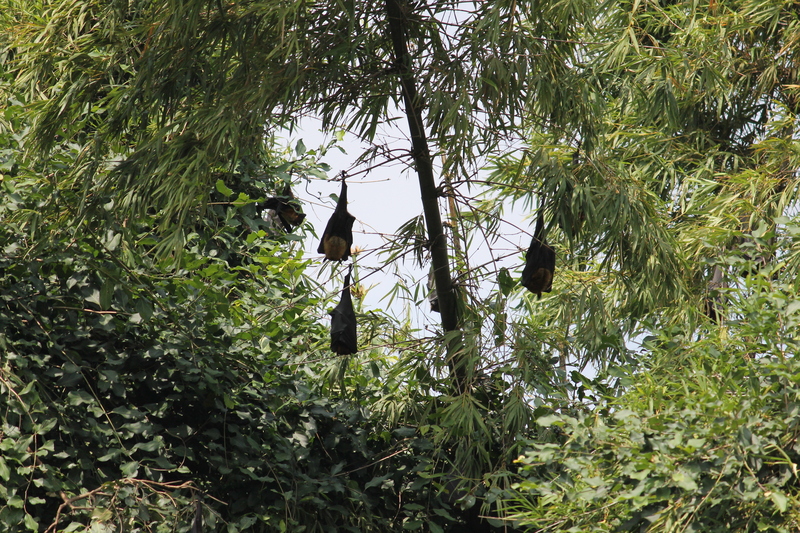 Eighth day is a day of rest and sight-seeing at Bhumtang. 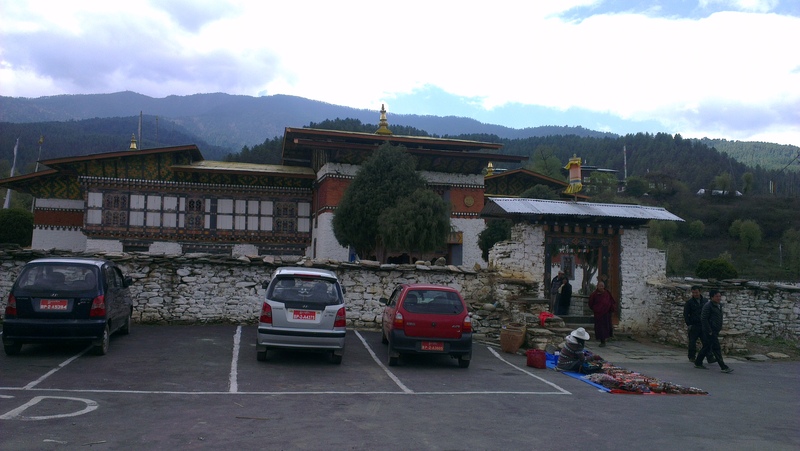 Jakar is a part of Bumthang region. 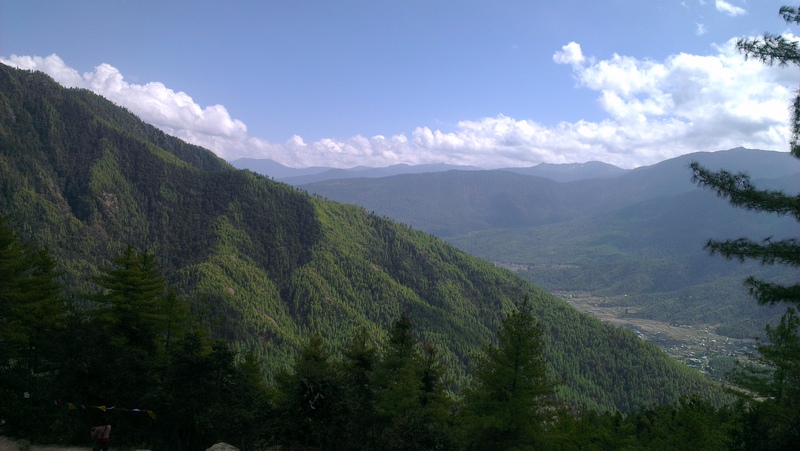 The four valleys of Tang, Chokos, Chhume, and Ura comprise the Bumthang Valley. 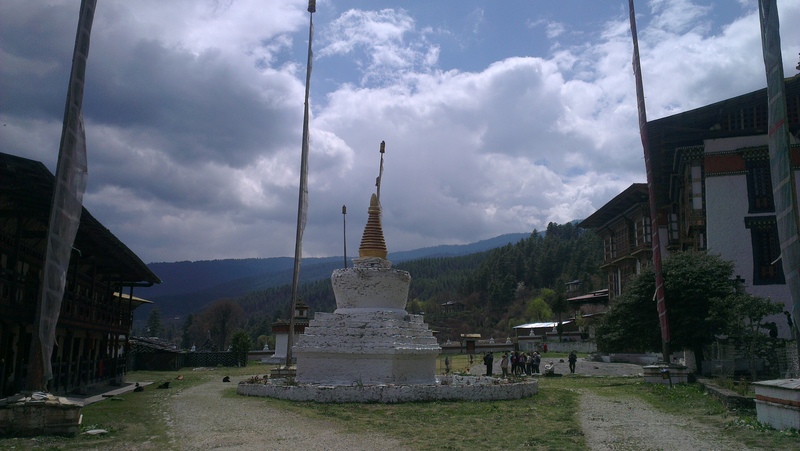 The Bumthang valley is shaped like a bumpa, the vessel of holy water used at the altars of Lhakhangs. ‘Thang’ means plains or fields. 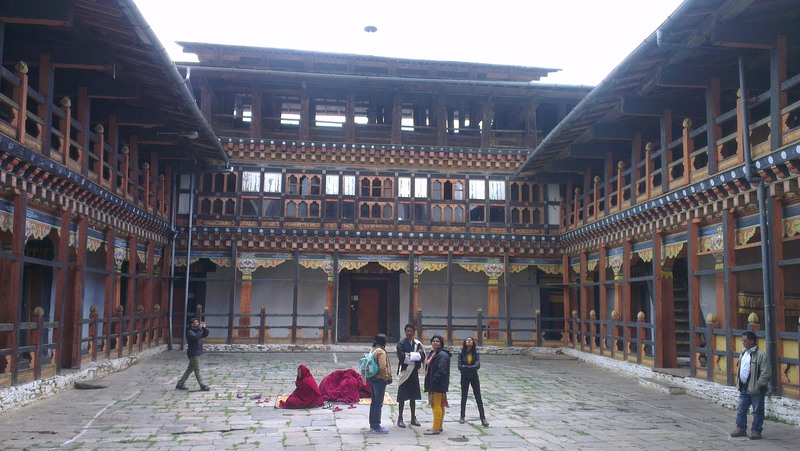 Another interpretation says Bumthang is the land of beautiful girls;’Bum’ means girl. 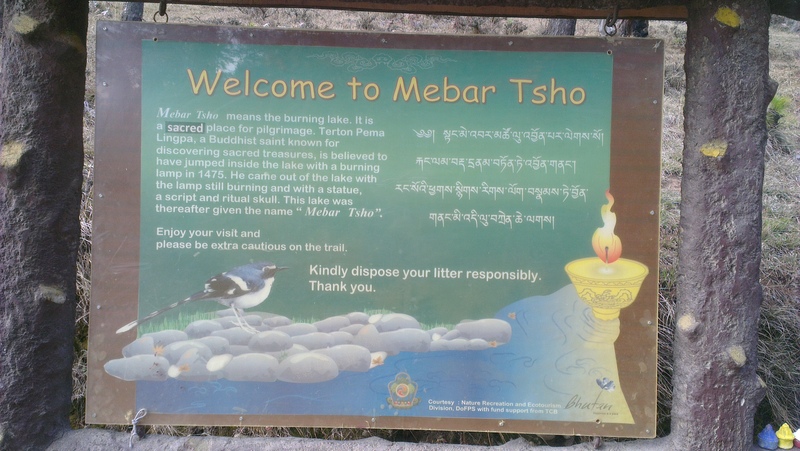 The four highlights of Jakar stay and our eighth day are our visits to Jakar Dzong, Jampey Lhakhang, Khurjey Lhakang, and the Burning Lake or the lake Membartsho. 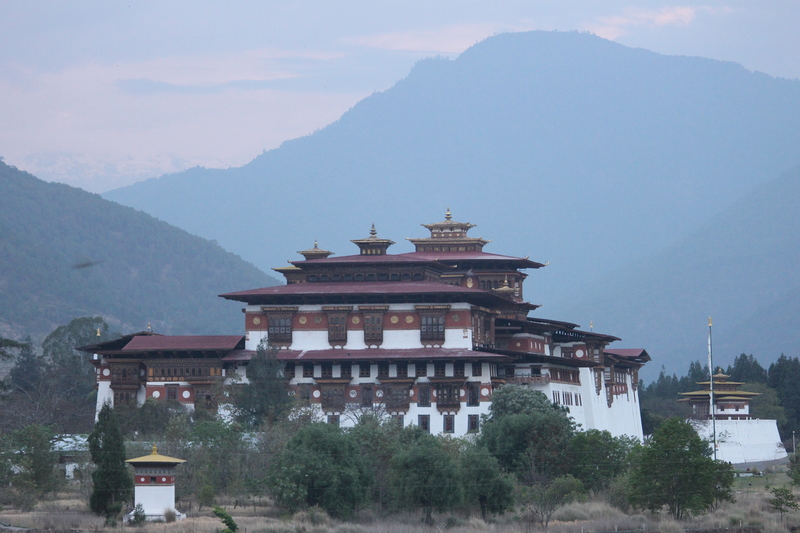 Jakar Dzong is the ‘Dzong of the White Bird’ founded by the Shabdrung’s great grandfather Drukpa lama Ngagi Wangchuk. 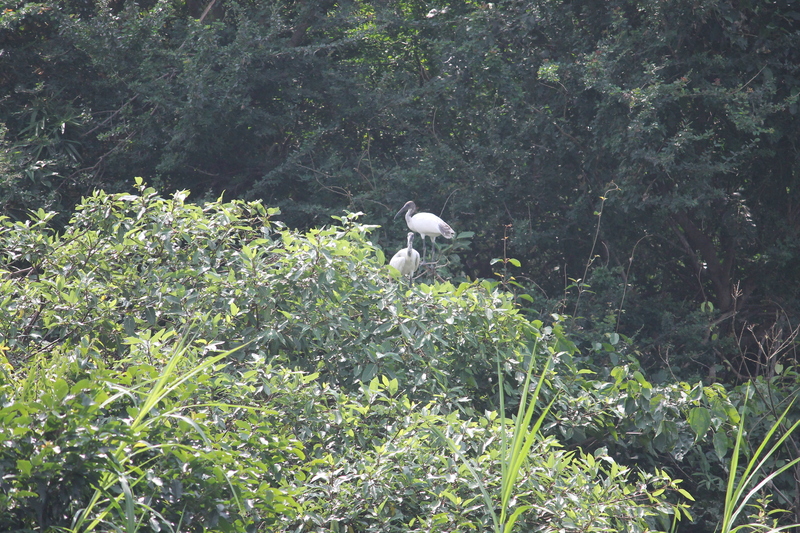 When he was looking for a place to build a monastery, a white heron flew by and perched on a ridge. 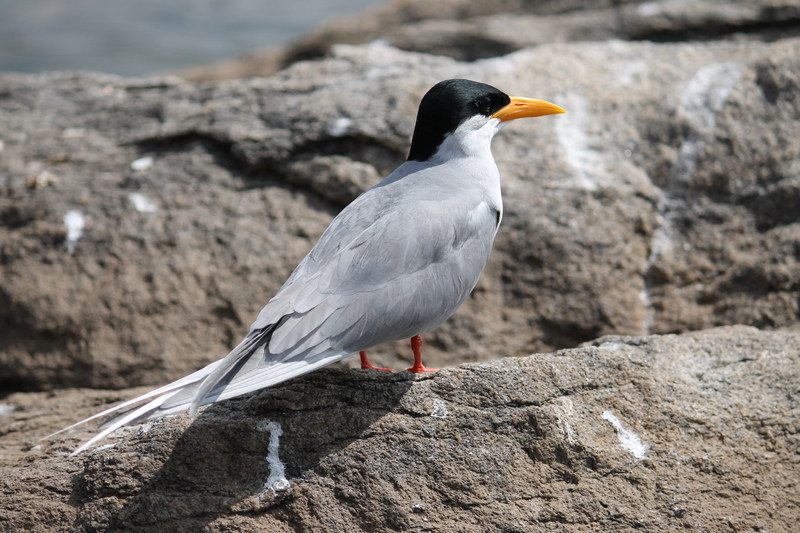 Considering the sight of the white bird as auspicious, he moved his constructing activity to the very ridge where the white bird had sat. Jakar Dzong is now home to various government offices and departments, a monastery and very old temples. Jambay Lhakhang or the Temple of Maitreya is one of the two oldest temples in Bhutan, and believed to be one of the 108 temples built on a single day the Tibetan King Songtsan Gampo in 7th century to overcome a demoness. 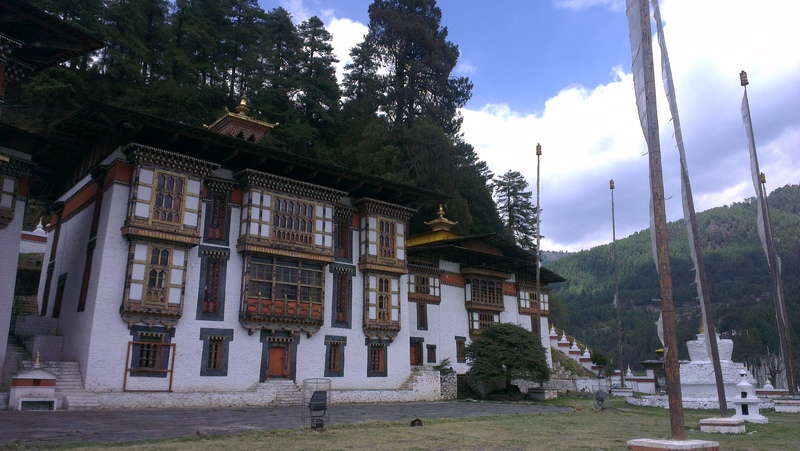 Kurjey Lhakhang or Khurje Monatery is the final resting place of the first three kings of Bhutan and is one of the most important temples of the region. ‘Kur’ means ‘body and ‘jey’ means print, the body print of Guru Padmasambhava is preserved in a cave within the temple complex. 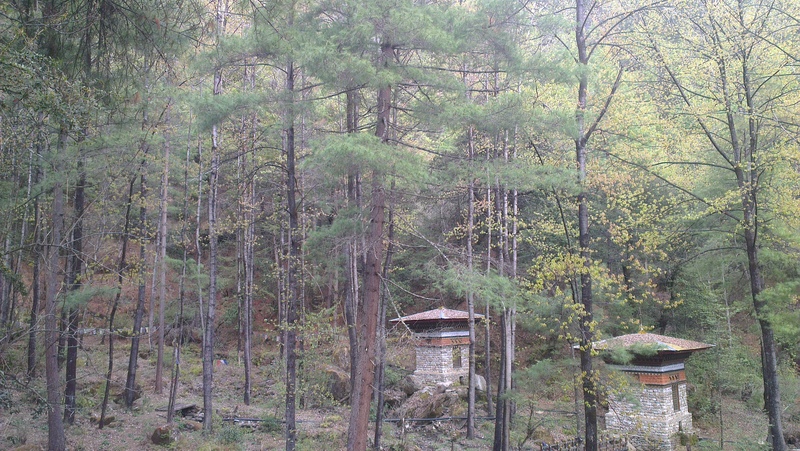 Kurjey Lhakhang; Large pine trees can be seen behind the temples which is considered to be terma that sprouted from the stick used by Guru Rinpoche. 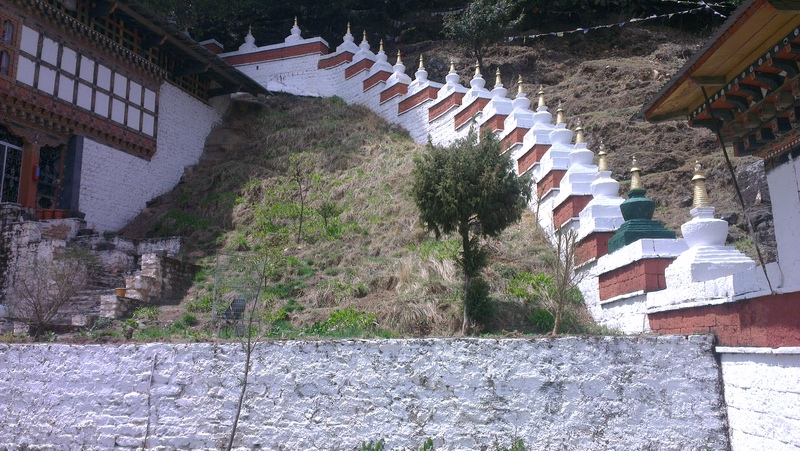 Kurjey Lhakhang – a stairway to heaven?! The Burning Lake or the Lake Membar Tsho located about 13 Kms from Jakar, is a picturesque pool, and forms a section of the gorge of the Tang Chu. The legend has it that the sacred scriptures were hidden by Guru Rimpoche or Guru Padmasambhava during the 8th century and later recovered by Pema Lingpa about seven centuries later. Climbing down the steps and across a wooden bridge decorated by prayer flags, we climb down the rocky sections to a ledge just above the lake. As we stand bemused on the ledge, the sun rays play hide and seek amidst the pine trees along the mountain sides of the gorge, the water tinkling and gurgling below. The locals believe that the lake is depthless and mermaids live there. 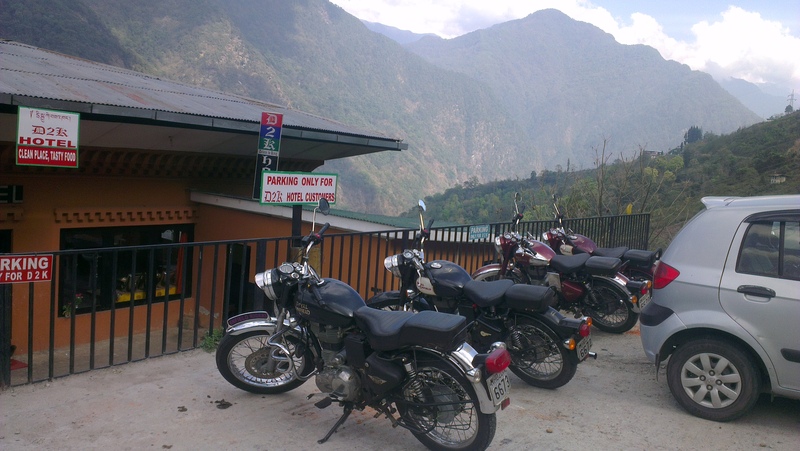 Our day nine is a ride of 190 Kms from Bumtang to Mongar via Ura Highway that runs along the scenic Ura Valley. We are now entering the eastern parts of Bhutan through Ura Valley, and a picturesque tiny village with close-knit houses and moving up and towards the renowned 4,000m high Thrumshing La Pass also called Donga Pass. 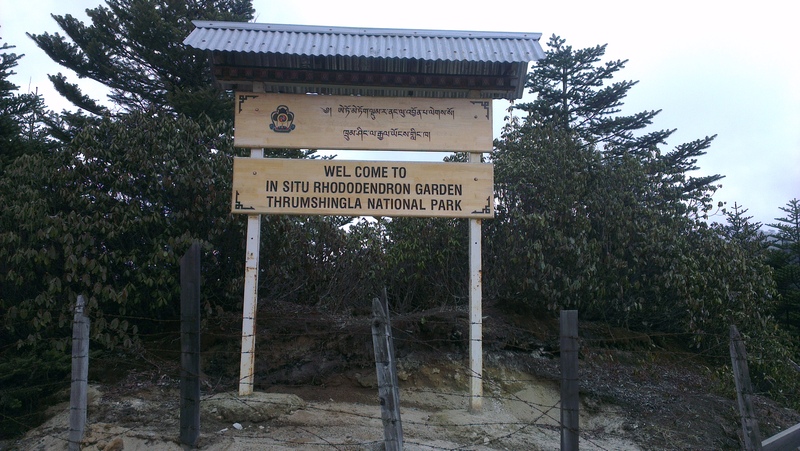 Thrumshingla is Bhutan’s second highest road pass through the Thrumshingla National Park famous for its blooms of rhododendrons and many other plant and animal species. 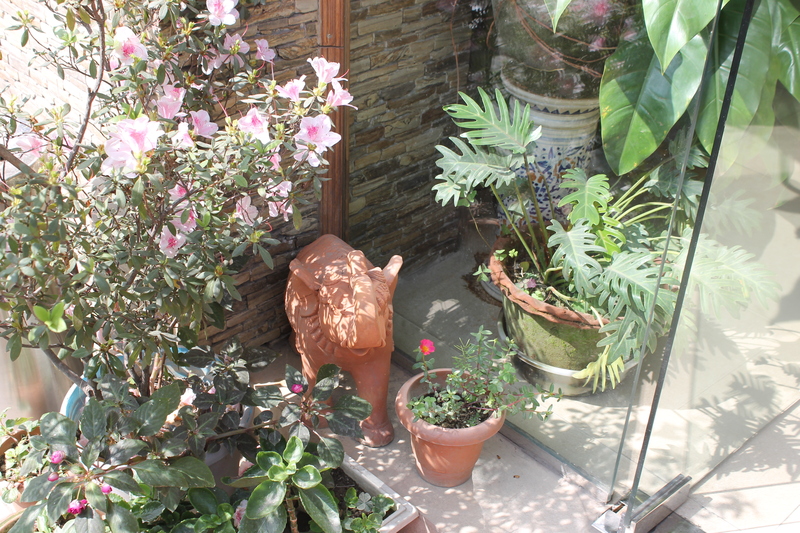 Since it is the beginning of the spring the rhododendron trees are yet to bloom. 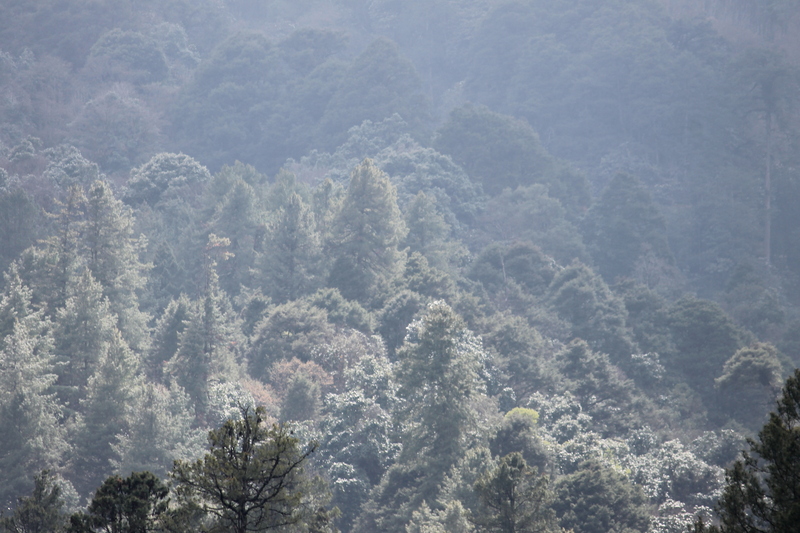 As we ride high up to the pass, a sudden wave of cold strikes us. Shivering uncontrollably we manage to reach the pass where someone has gotten a campfire going. The very sight of the fire is a manna from heaven. Abandoning our bikes in a jiff all the riders gather hurriedly to warm ourselves up. Bless those road workers who had lit up the fire using very old prayer flags, they were clearing the old ones so that new ones could be put up soon. A holy fire indeed that keeps us warm from freezing! Warmed up a bit, we now ride towards Sengor, a deep descent into the Kuri Chu valley (Chu mean river in Dzongkha) clinging to the side of rock cliffs, with numerous waterfalls and small streams leaping right across the roads. At places, the road is literally hacked through the vertical sides of cliff. Once reaching the valley and across the corn fields and rice terraces, the road again changes to uphill. This is an amazing stretch of pine trees with hanging vines standing like stately, ancient monks. 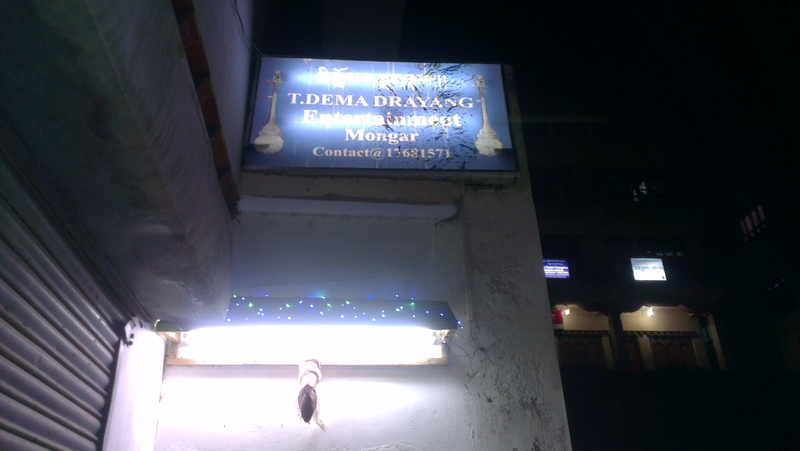 Reaching Mongar we check in at the Wangchuk Hotel; the hotel room showcases a book “The Path to Dharma.” Freshened up, we saunter into the small quaint town of Mongar, we reach the playground where local school and college boys are practicing football. Tempted to play with them, we give a good try and our companion gives them a good run for their money by hitting goals. The boys are spirited and sporty, cheering the goal. The ‘live band’ is the local girls dressed in traditional Kira, dancing to the song requests from the audience as the alcohol is served. Depending on the song, the girls are dancing solo or as a group. Their dance movements enacting the song lyrics are both demure and sensual, but never vulgar. Any interested member from the audience too can choose to dance on the stage. To our utmost surprise, the girls offer to dance to Hindi song requests too, though their Hindi song collection is limited. Thrilled we suggest a couple of Hindi songs from their DJ’s collection. As a final touch our fellow rider too does a swing on the stage accompanied by the teenaged bouncer. It has rained through early morning, and continues to drizzle as we set off to our last ride of the trip towards Samdrup Jhonkar. The roads are wet and an augur for slippery and sticky, muddy roads ahead. Today it is the longest ride of 290 Kms and the final lap of our biking trip. The roads are truly less explored; the route is not visible on Google Maps too! We are now moving to the eastern part of Bhutan which is separated from the rest of the country by a chain of steep and rugged hills that run from the Tibetan border and continues all the way down to India. A fragile road has been carved into the steep mountains; the stunning steep cliff walls and deep wooded valleys, and a meandering river make your heart miss a beat at every steep, curvy turn. Except for a few trails, this breathtaking drive is the region’s only road link to the rest of the country. 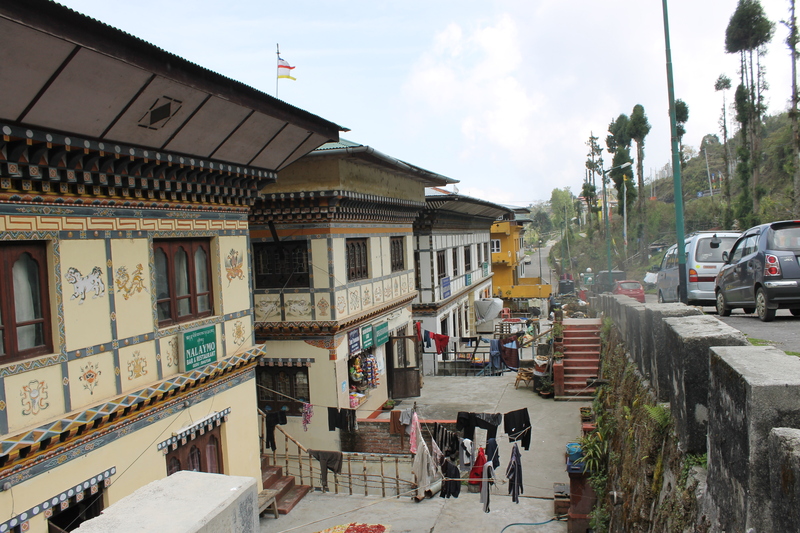 Bhutan government and the Dantak team have been actively widening this road. While it surely will take lot of time and energy to complete the road end-to-end it certainly has made the ride more secure and protected. As the road development is going on, there are two road blocks for us to cross, one of which we pass by unknowingly but the next two-hour one invariably make us stop. 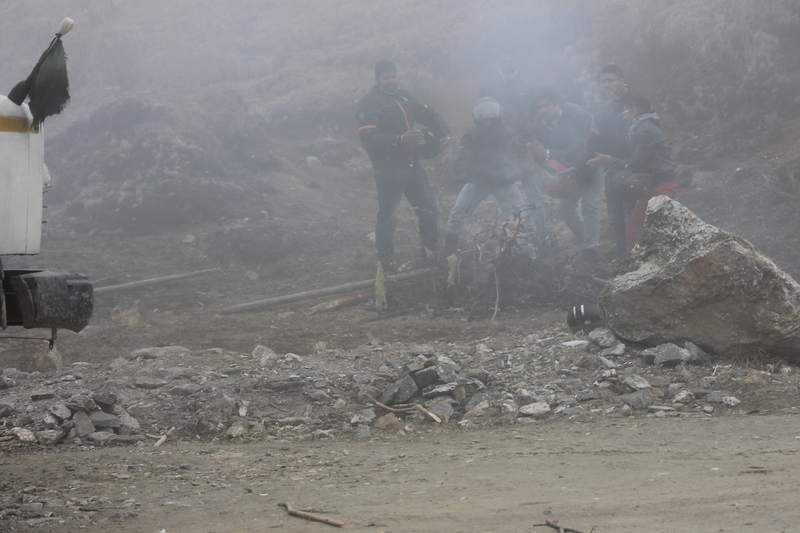 As the Dantak team clears the rock and the debris on the road, we keep ourselves warm at the impromptu fire set up by a road worker. 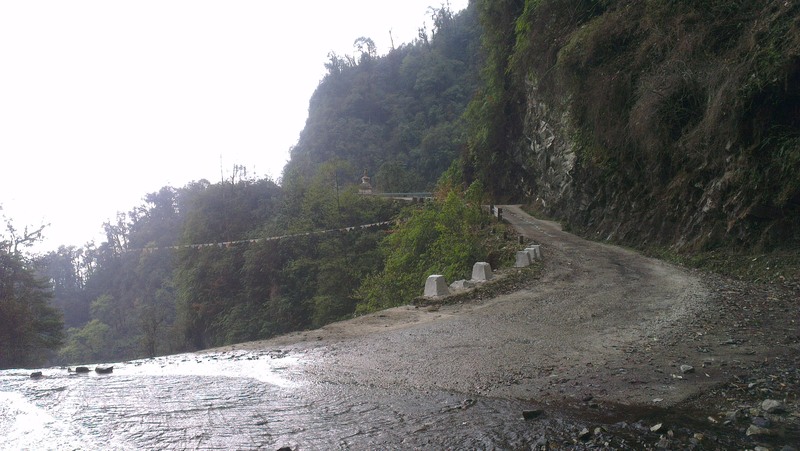 The road opens sharp on time, one more notch up for the Dantak and the Bhutan DOR (Department of Roads) who ensure that the road block timings are kept to the T.
Samdrup Jongkhar is called the little sister of Pheuntsholing and borders both the Indian states of Assam and Arunachal Pradesh. Unsurprisingly, the town is an eclectic mix of Bhutanese and Indian shops and restaurants, Sharmas, Guptas, Agarwals, et al share the Butanese shop names. It is an important trading center for the eastern regions of Bhutan and an entry point to Bhutan for those entering from the East. Packing up we obtain the exit permits at the Samdrup Jongkhar check post and ride to Guwahati. It is a two-hour journey. Wistful and full of biking memories of Bhutan we are now entering the Indian border. Having ridden across undulating mountains and curvy bends and the Bhutanese traffic-rule conscious and safe drivers, the smooth 4-lane highway to Guwahati where the drivers are going both the right and the wrong way is almost an anathema. We are going to heartily miss our adventurous jaunt across the Himalayan Mountain Kingdom. Military-traffic check posts in between, fields and villages, sheep and goat kids sleeping on the middle of the road shakes us up to the truth that we are now back in India. 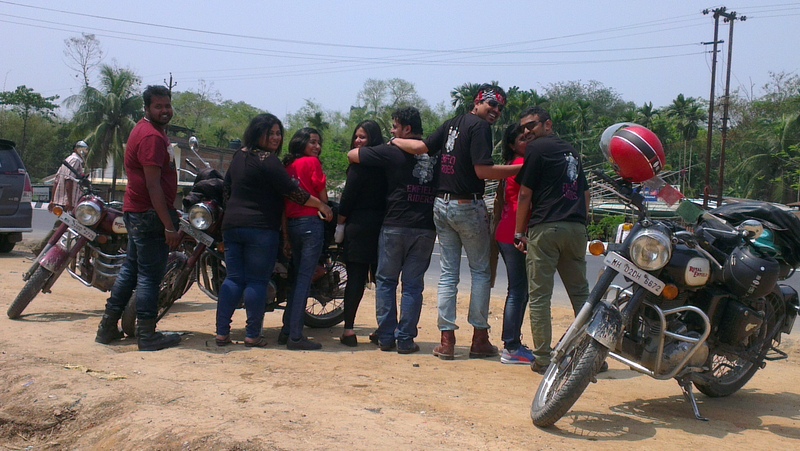 A short stop at a roadside dhaba for a final cuppa together with all the riders. Crossing the bridge over the majestic Brahmaputra River and reaching Guwahati, we bid goodbye to our Royal Enfield bikes and the companions of the last ten days. Hoping as the Bhutanese belief goes, that we have hard-earned the prayer flags that were tied to our bikes in Paro, we gather them and pay one grand salute to the royal beasts that carried us across Bhutan. One final longing look at the wonderful Mountain Kingdom before all the bikers go home; Hoping to come back! Lunch and it is time to bid goodbye to our fellow companions and guides who have shared our Bhutan ride and the memories. Promising to meet again in less travelled roads, we part ways. 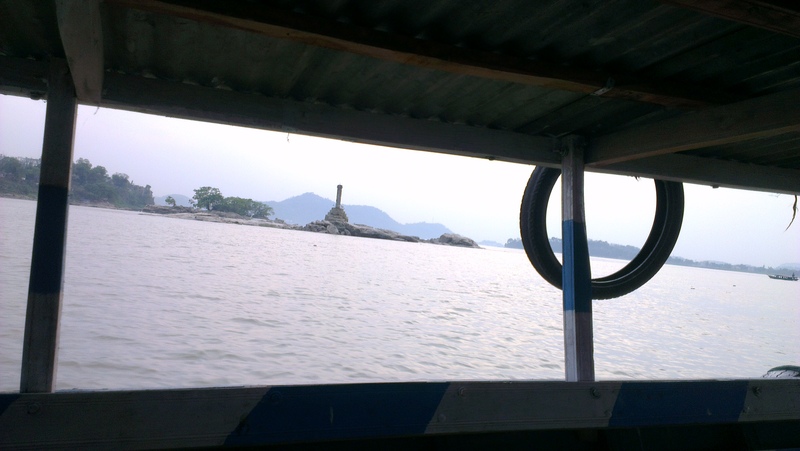 Evening offers yet another memorable moment, a ferry ride to the Umananda Temple on Umananada Island in the midst of the stunning waters of River Brahmaputra. The Shiva Temple dates back to the 17th century and the island is believed to be the smallest inhabited riverine island in the world. The British called this Peacock Island for its shape. Back on the mainland, tasting the sprouted chaat and chai on the river banks, we take a walk in the busy shopping streets of Guwahati before we returned to our hotel. 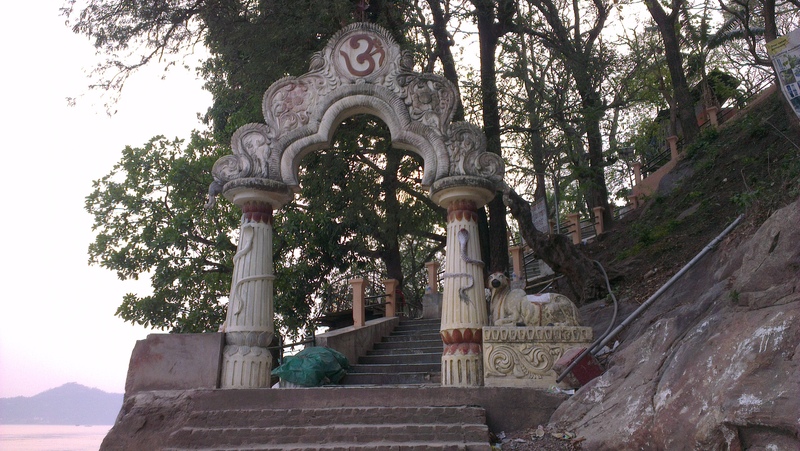 We take a cab to Maa Kamakhya Temple situated up the Nilachal hill, a small hillock just outside Guwahati overlooking River Brahmaputra. One of the oldest of 51 Shakti Pithas, it is an important pilgrimage destination for the Hindus and Tantric worshippers. It is a temple complex of individual temples dedicated to the ten forms of Goddess Durga. The shikara of the main temple is a typical medieval Assam temple architecture. After Puja and lunch at the hotel, we pack off to the airport. The Lokpriya Gopinath Bordoloi International Airport, Guwahati, is a small, over-crowded international airport that also serves as the Indian Air Force base. Our flight is on schedule. Reaching Bengaluru Airport, we have time to savor filter coffee and packaged Maddur Vada. Then it is time to say goodbye to our twelve-day companions as we part ways with a promise to meet some day soon. Gujarat – A Sip of ‘Honesty’?! 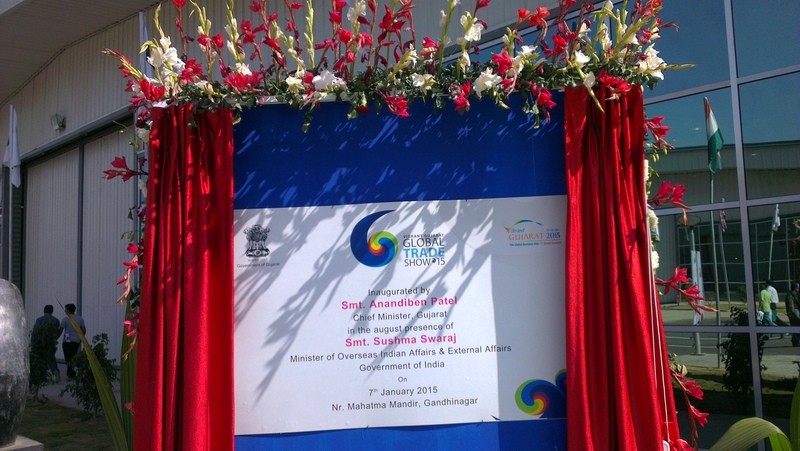 January 9, 2015 – Set out on an impulse to visit Vibrant Gujarat. Impulse became the throbbing pulse of excitement in exploring new land, its people and culture, and to know what makes it tick with the local, national, as well as international links. I set out with immense curiosity to know Gujarat, eager to learn what makes the state flourish, urge to explore the clichéd Gujarati business acumen, to know what makes that almost legendary Gujju business acumen tick. 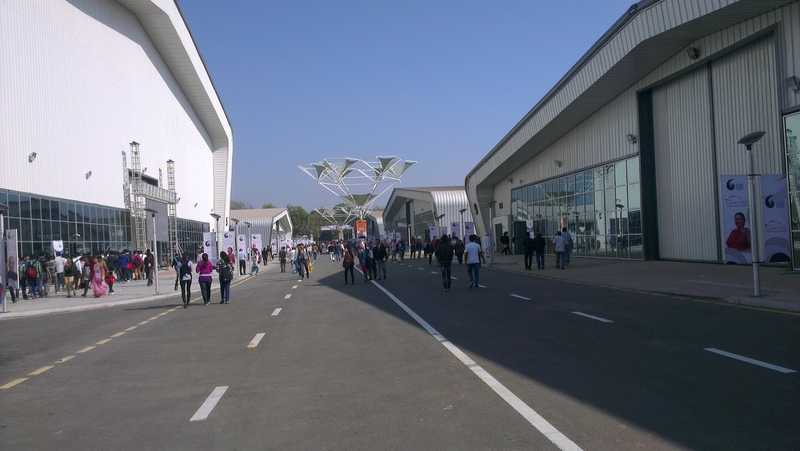 Global Trade Show Venue, Mahatma Mandir, Gandhi Nagar. 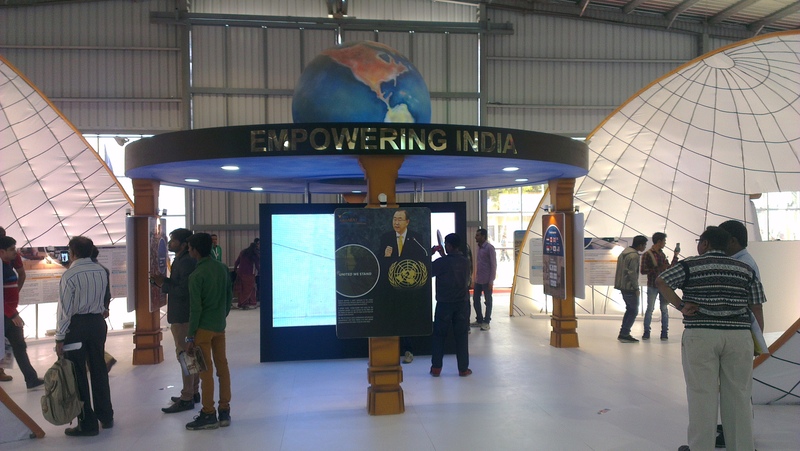 Vibrant Gujarat venue was an overwhelming experience with its enormity as well as range of companies that had set up shop to sell or buy, to find customers or attract investors. The mind boggling range of products from agriculture, ayurveda to food processing, from petrochemical industries to hi-tech companies, there seemed all and everything that mattered in the business world had a presence there that day. Finding it difficult to find a proper (read calmer and peaceful) restaurant to have lunch within the Vibrant venue, my Savari driver took me to a restaurant. Honest Restaurant! The name of the restaurant came rushing to me but my hungry stomach did not allow me to even give another glance at it then. Settling at a table I ordered peas pulav and a customary large tumbler of lassi. The waiter brought along a bottle of water too. I savored my food while I ignored the bottled water. Traveling brings enough of complementary bottled water, be it in airlines, hotel you stay in, or the cab you ride. I simply felt I could use the one I was already carrying in the cab I had hired. 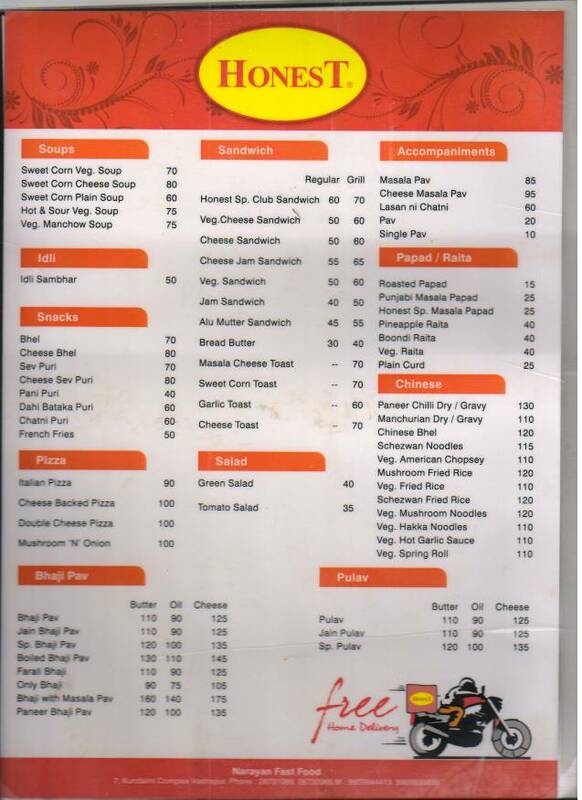 Once my hunger pangs were satiated and the soothing lassi, I paid the bill and left. “Nahin saab, yeh aap ke hain, aap iske paise diye hain” (No sir, this is yours, you have already paid for it). This went on for three four times. And the guy said, “uske paise aap diye hain, yeh bothul aapka hain” and simply thrust the bottle into my hand.I then noticed the bill I had paid had included the bottled water. I realized that the hotel had presumed I would need water and simply added to my bill whether I had requested or not. And they were not willing to keep the already paid bottle. It was entirely the customer’s now! Bemused I examined the bottle that got put into my hand and the name on it “Honest Drinking Water” and almost fell out of my cab laughing. Riding back, I kept mulling over the incident. Honest to the core, the hotel had made sure they stood for their name. But, I had never even asked for water, which was just ensured that I had bought it, without realizing it. It was one smooth selling, and even if I had checked my bill before paying I am sure there would have been an argument that water is given whether you wanted it or not. There was certainly a tinge of honesty, they had not kept the bottle to sell it to another customer! 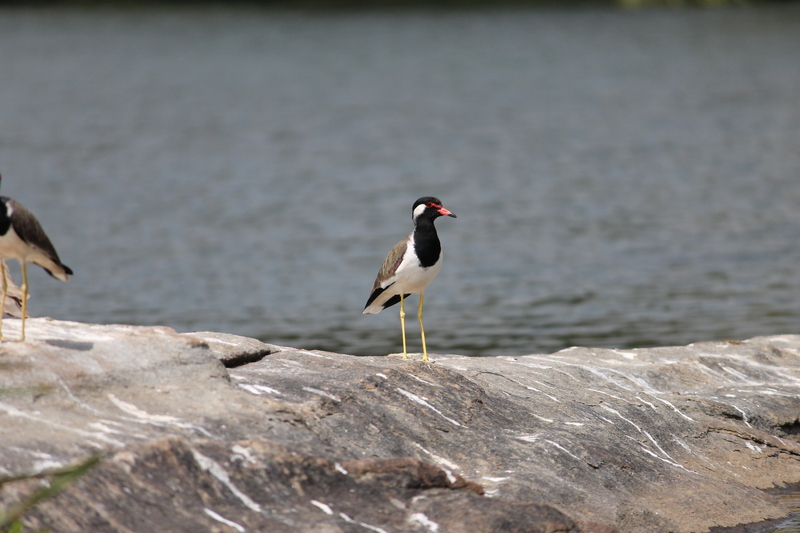 Ranganathittu, was my choice as a weekend getaway from Bengaluru. 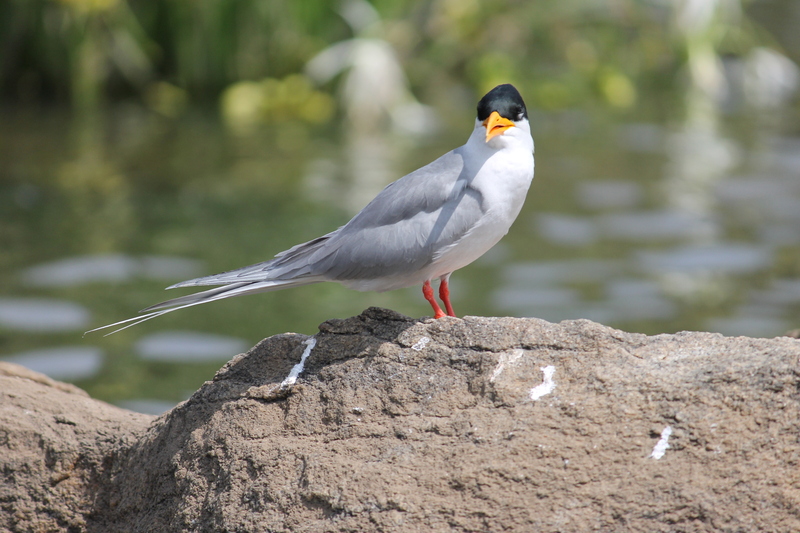 With visiting colleague-friend who was looking for a photography trip and what is better than the bird sanctuary? 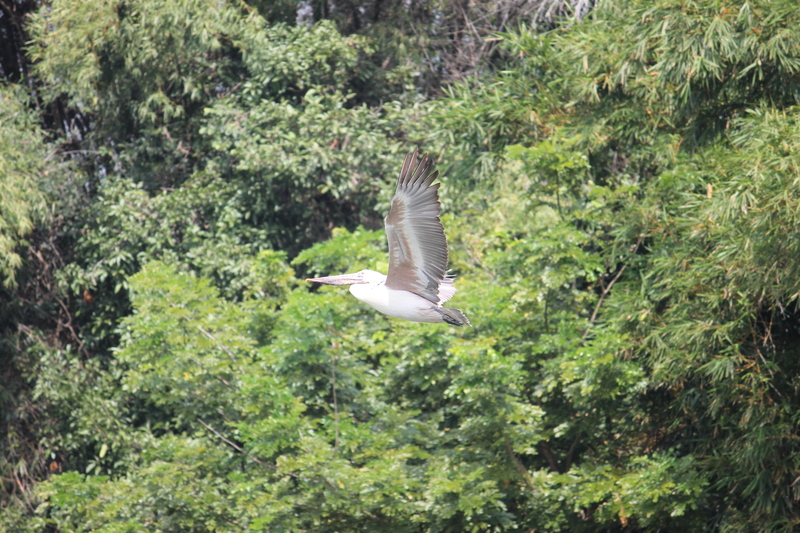 Riding a boat with the boatman who knew a lot about birds, almost as eloquently as an ornithologist, we went round the islets on the river Cauvery watching the birds, their chicks and nesting behavior. 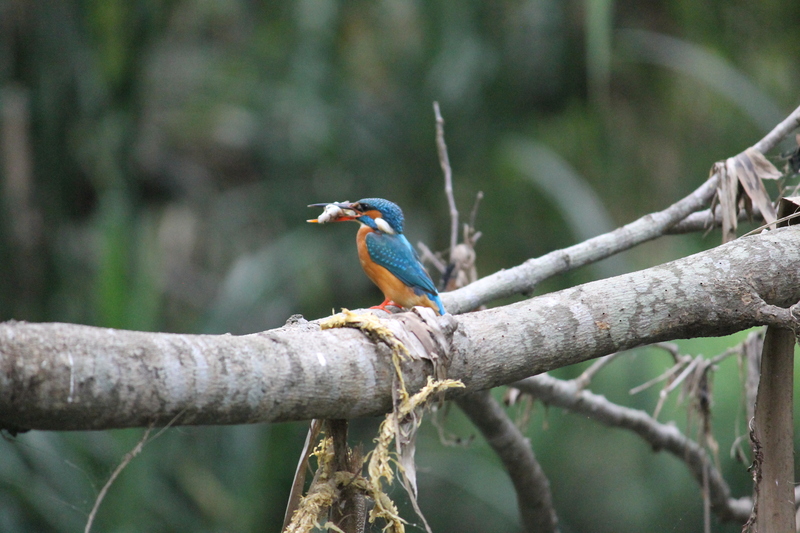 The cool wind of October added a soothing touch to the feathery feast right in front of our eyes. 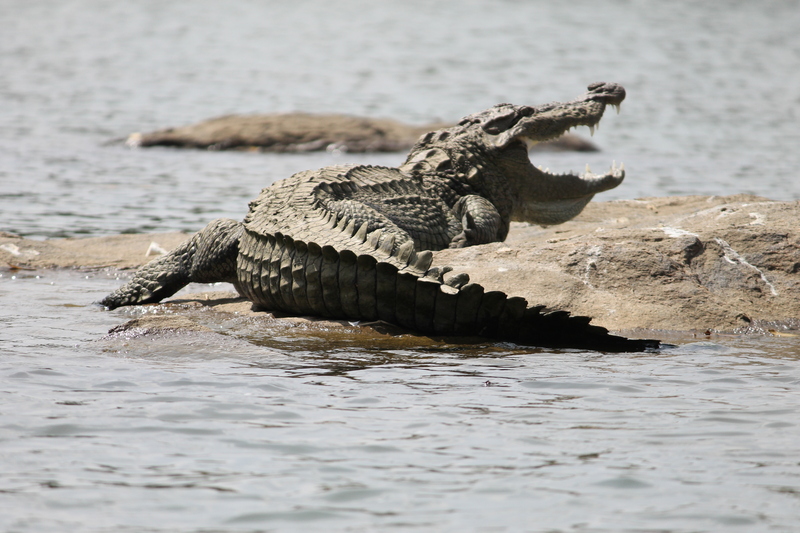 We were lucky to get glimpses of Great Pelican, Painted Storks, Spoonbill, Oriental Darter, River Tern, large and small egrets, and the Mugger or Marshy Crocodiles as they slithered close by our boat or lazed on the rocks. 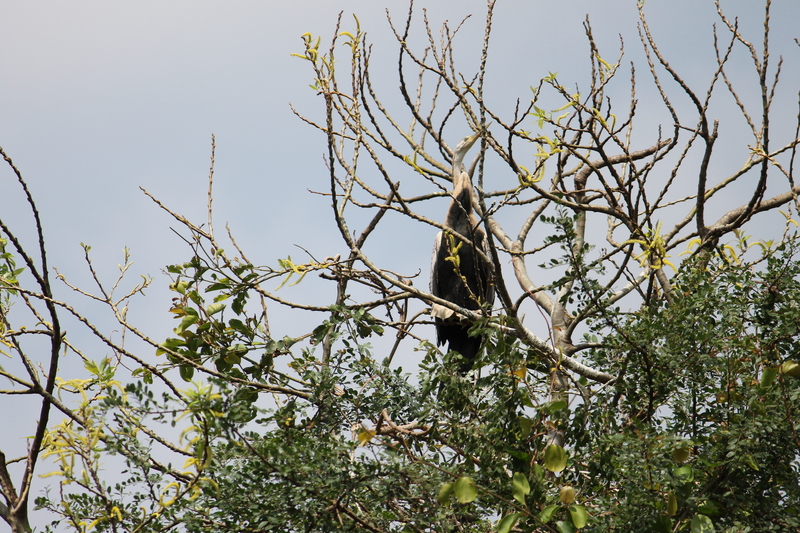 The sighting of an Eaglet was the crowning glory to our Ranganathittu; it was the nesting season for eagles! 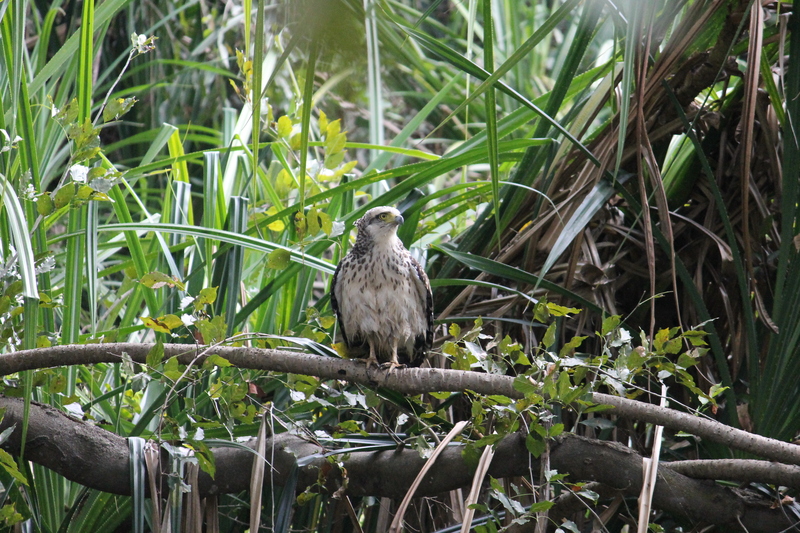 Snake Eagle Juvenile – Catch of the trip! Christmas 2014 was a memorable one. Enjoyed breakfast in true South Indian style, tasting a range of lip smacking dishes – Neeru Dosa with its traditional coconut side dish and chutney, Akki Rotti and Ragi Rotti with a homely touch, piping hot Paddus with the signature chutney – was a royal menu reminding of mother’s touch. Med man missing made one wonder if it was yet another truant played by our modern day doctors. It’s better if less said to keep one’s mind calm and clear, to not let yet another negativity enter one’s mind. The games people play to establish a lie as fact is enough to make you withdraw, standing aloof and seemingly detached from friend forms. Cruising along a flicker of celluloid thought beckons in the form of newly released PK. The parody and irony in the organized religion, the metaphysical search of God and yearning for God’s hand in absolving one’s life’s struggles. The whole metaphysical question is taken to another level with an alien questioning the human beings’ incomprehensible customs. Enjoying the great mixture of laughter and philosophical exposition in Gold Class was a class in itself. The first taste of the plush seats and pampering ushers was both luxurious as well as embarrassing affluence. A strange mix of the common and the not so common, the usual in contrast with the unusual, as should a Christmas Day be!